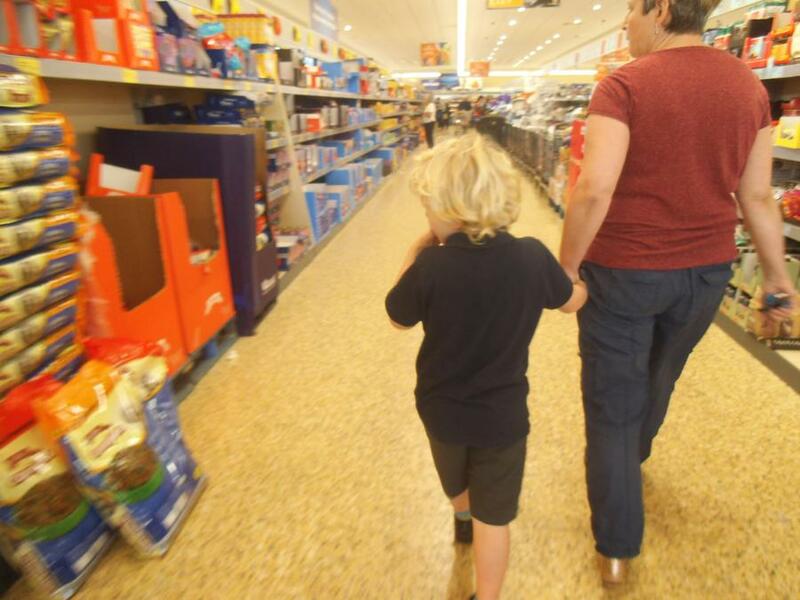 We grew some grass heads and had to remember to water them, especially as it was so hot. 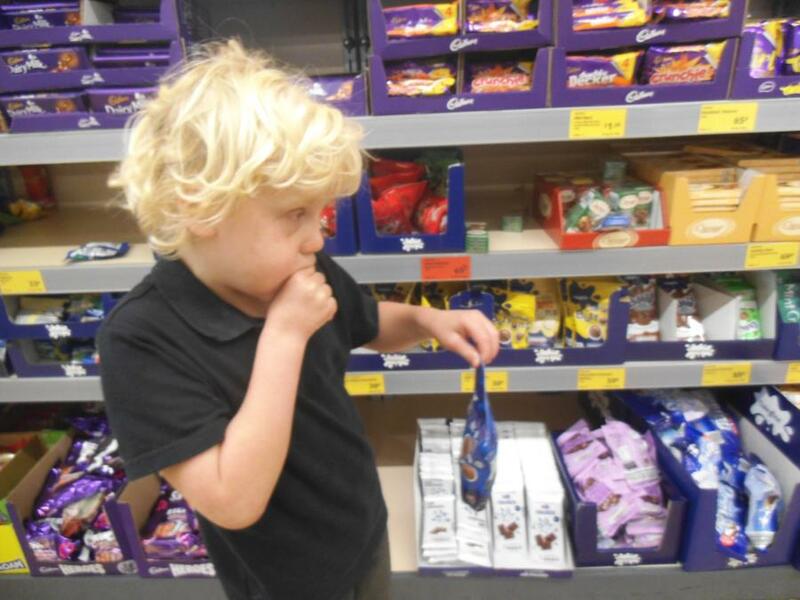 Below is Purple Classes curriculum overview for this half term. 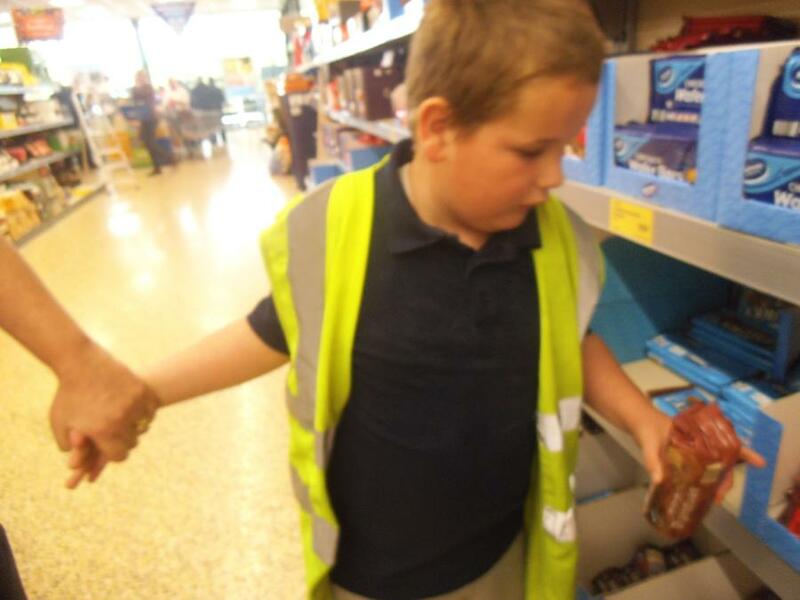 You can click to view to document or download the PDF on the link below. 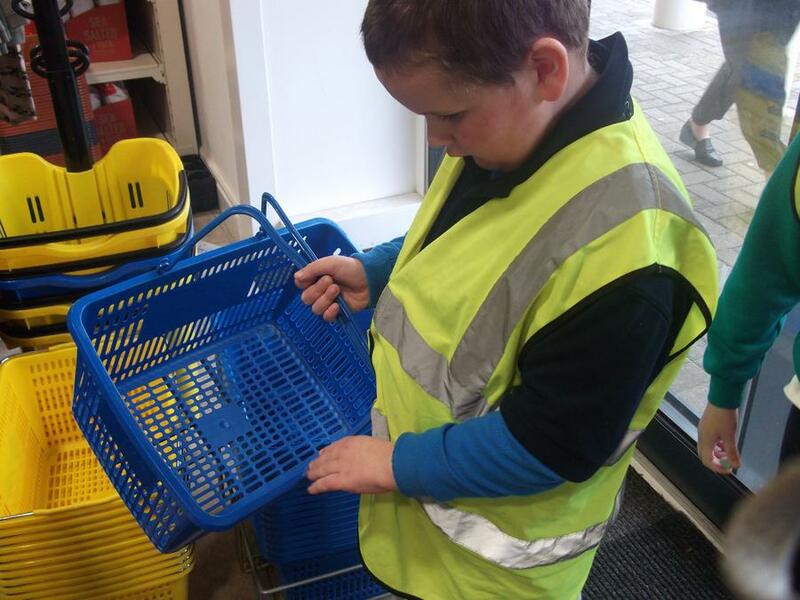 We have been practising our photography skills and learning to apply special effects such as Black & White. 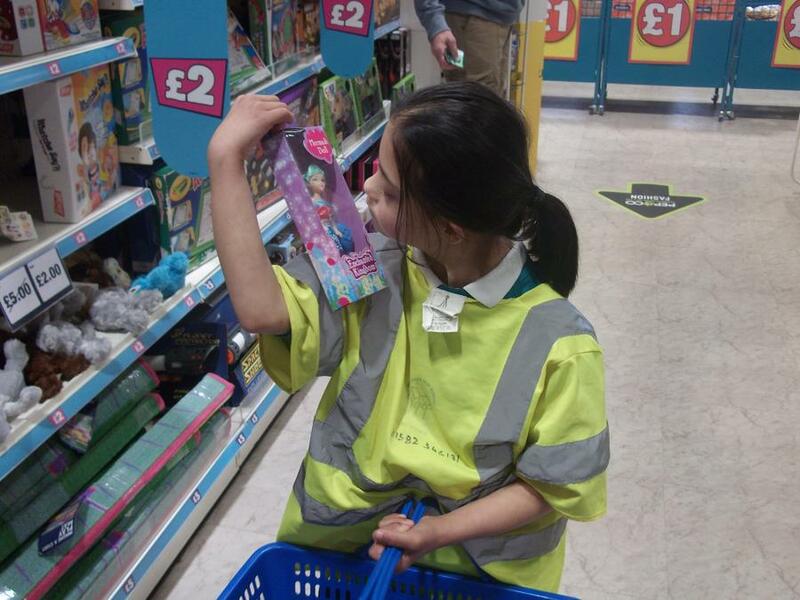 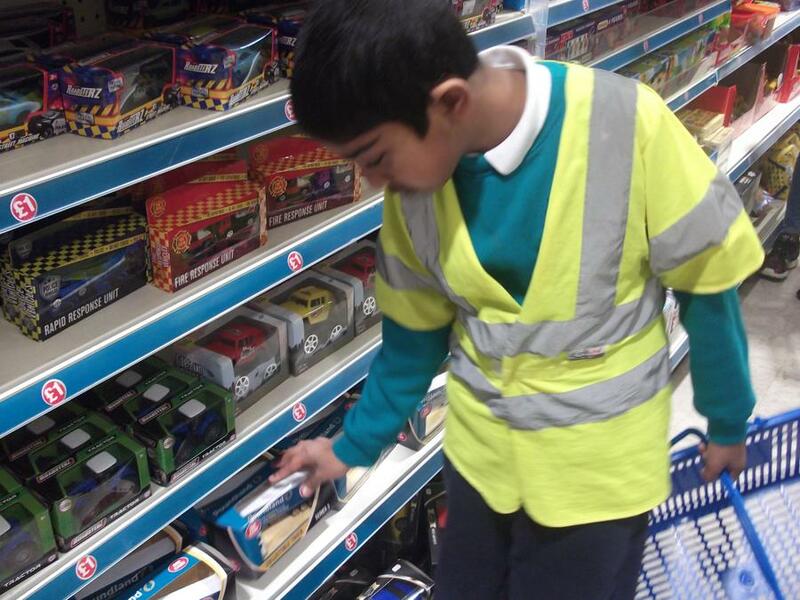 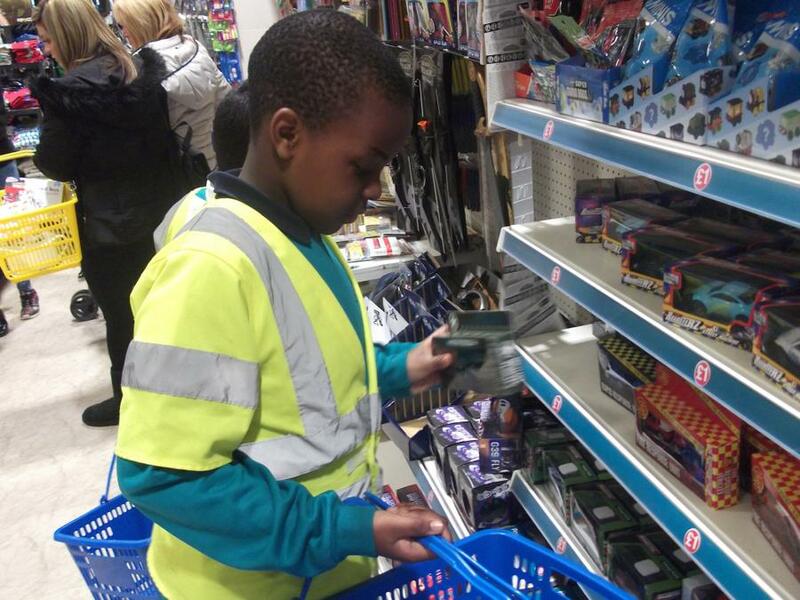 Purple class had a lovely trip to Poundland. 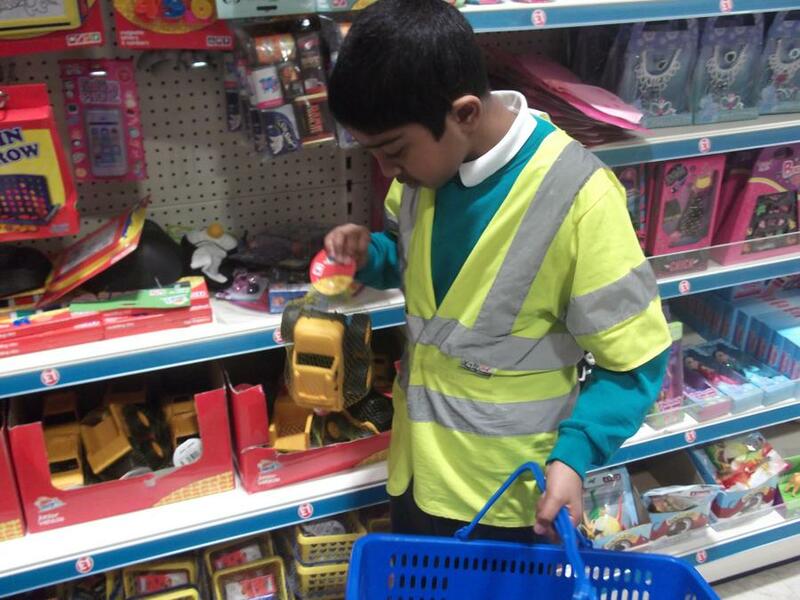 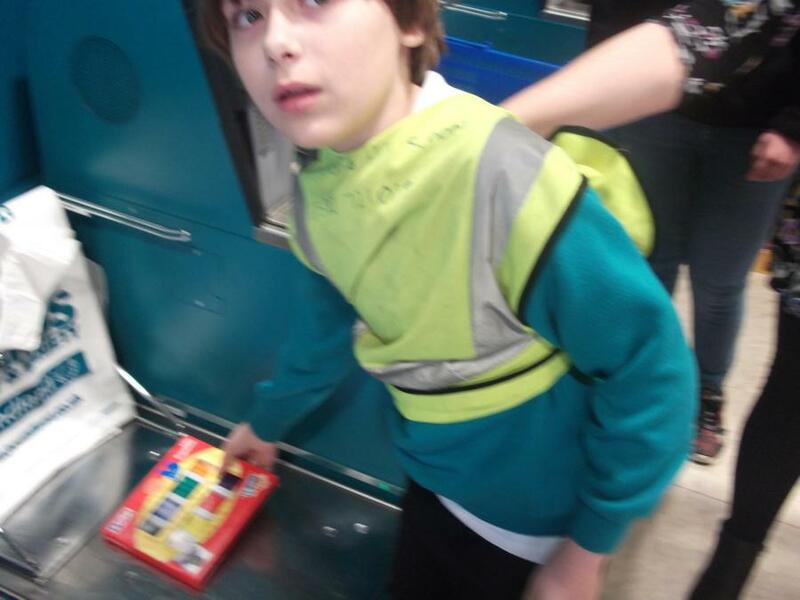 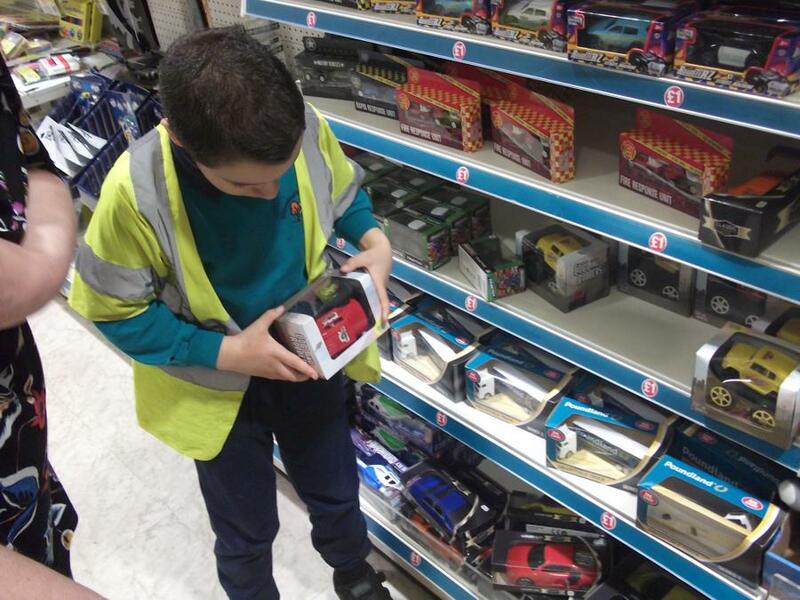 The children had a look around and then purchased an item of their choice to bring back to school. 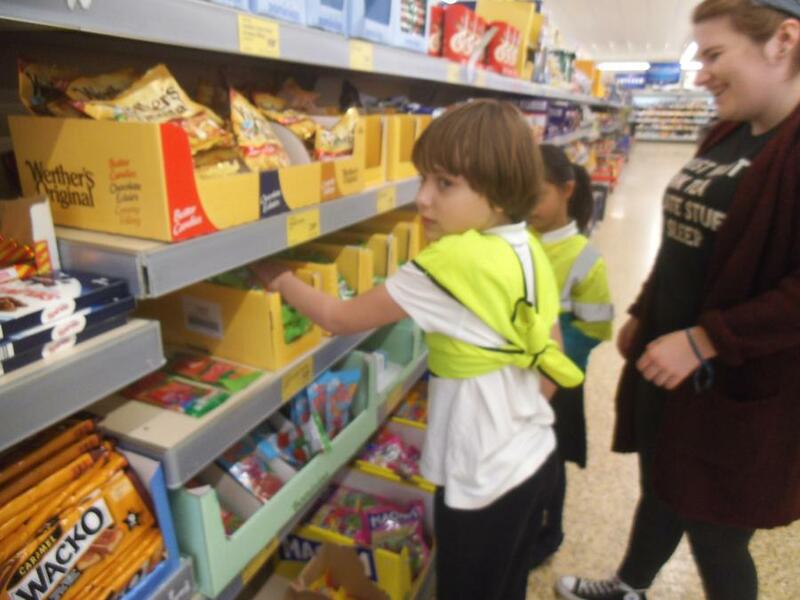 Below is our class curriculum overview for this half term. 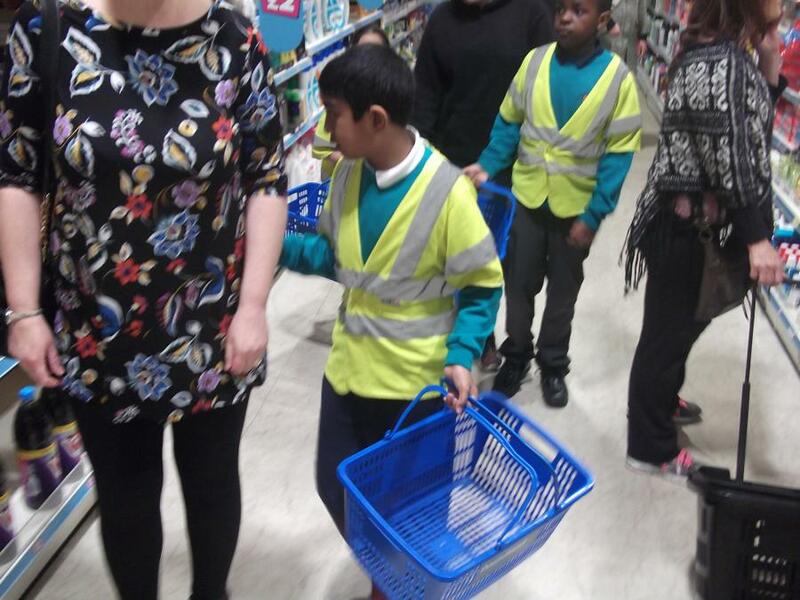 Click on the link below to see what we will be getting up to! 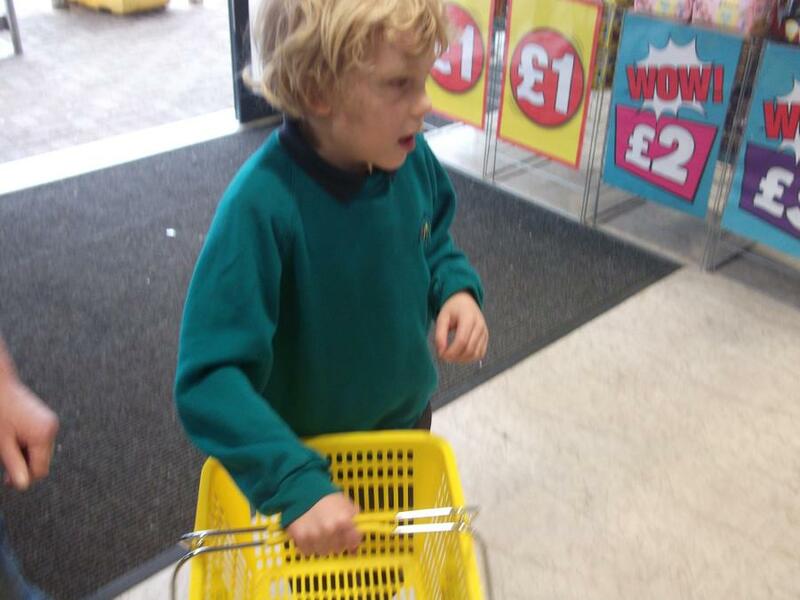 In Science we have been looking at The Human Life cycle. 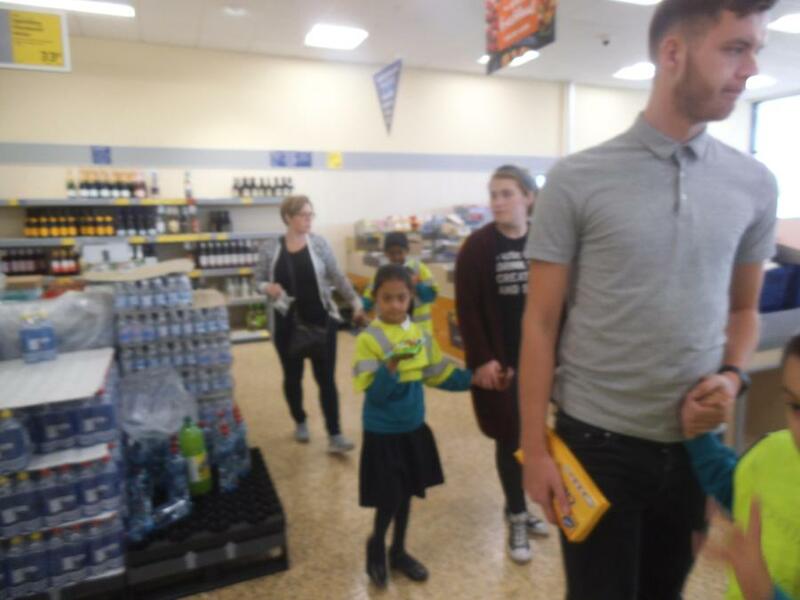 We looked after a pretend baby and then dressed up as an old person. 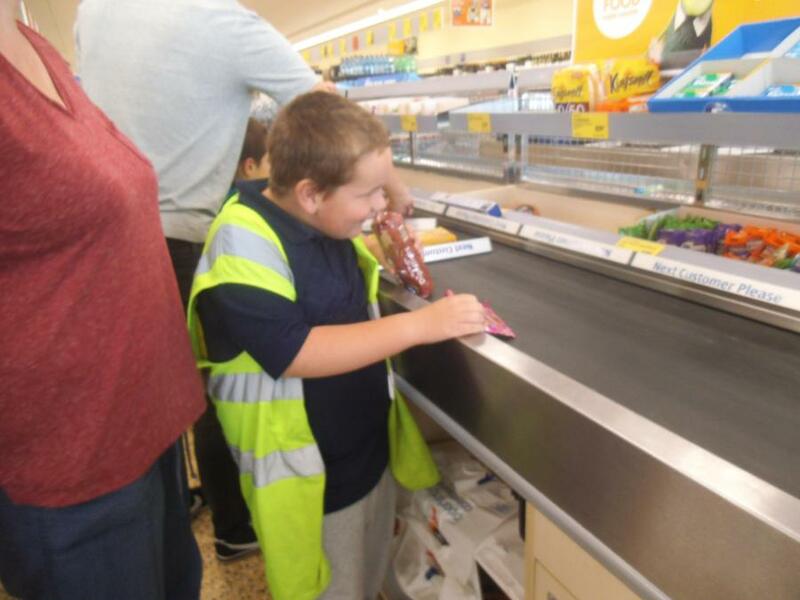 We looked at lots of photographs of different people and then sequenced them to put them in correct order - baby, child, adult, elderly. 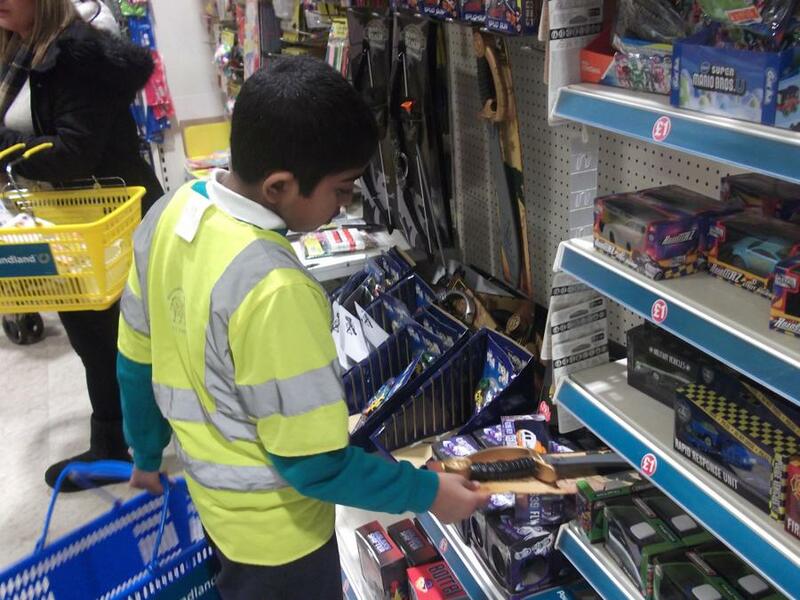 Today we learnt about Bonfire Night and had fun with sparklers in the garden. 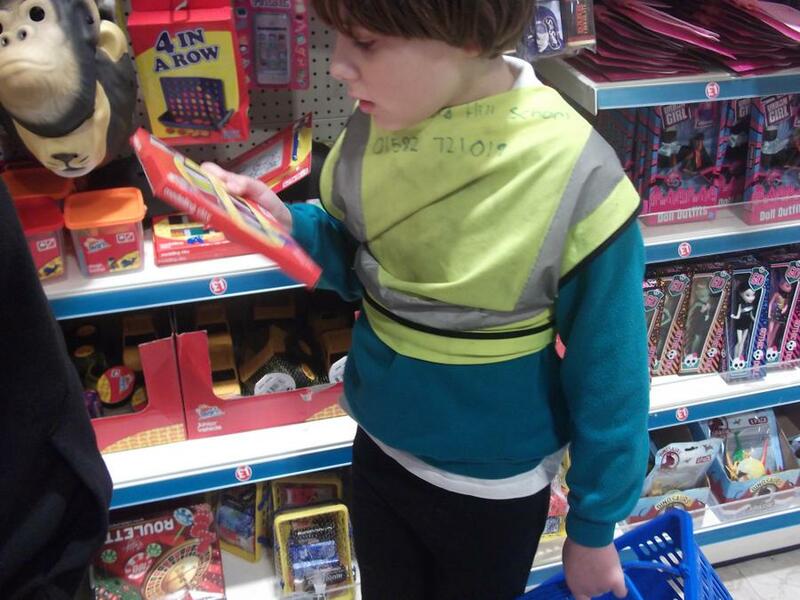 Our classroom is already looking lovely with our English and Topic display boards. 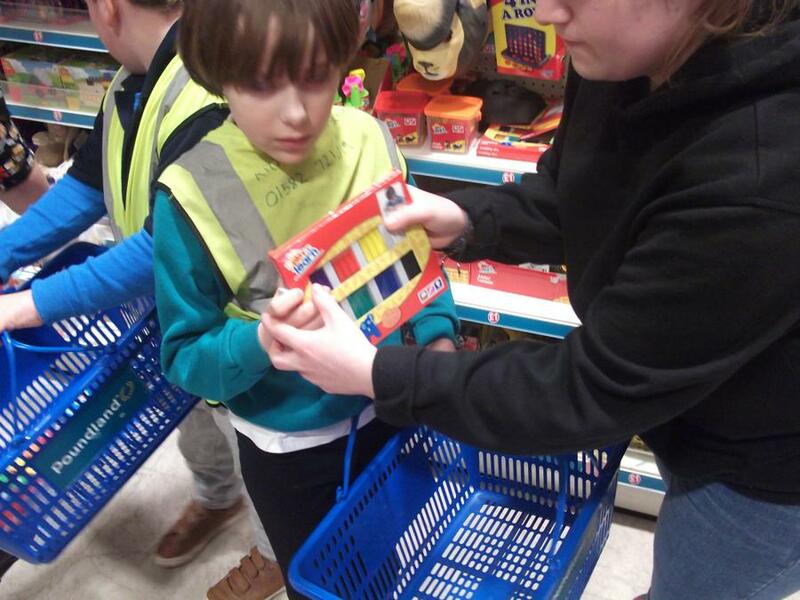 Have a look at the picture below to see what we are up to this half term! 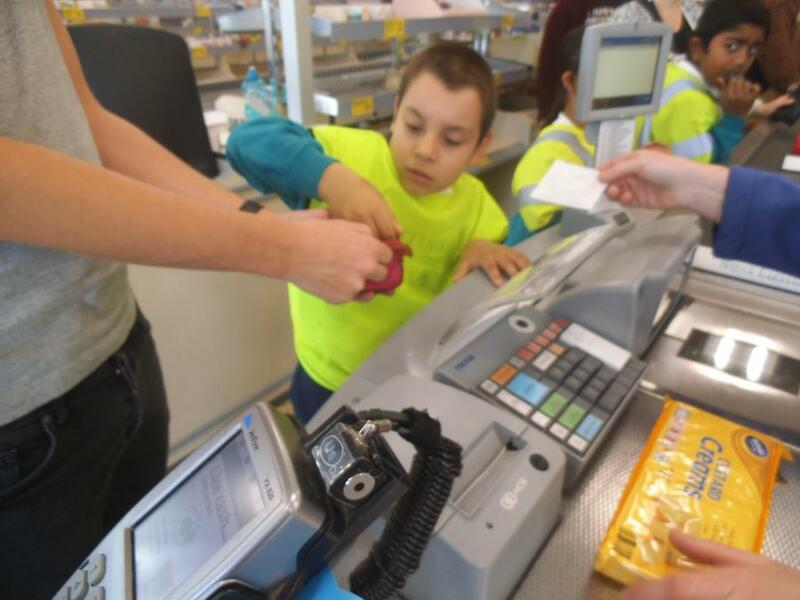 You can also download the document by clicking on the link below. 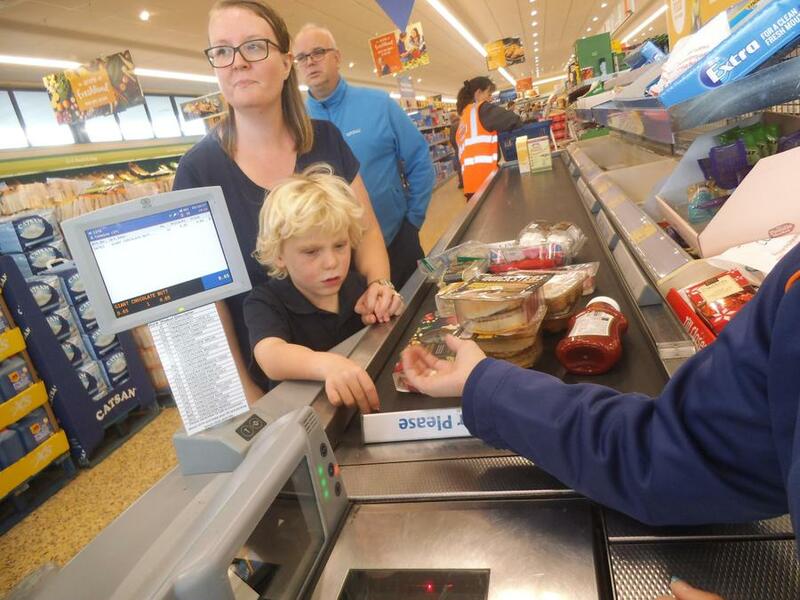 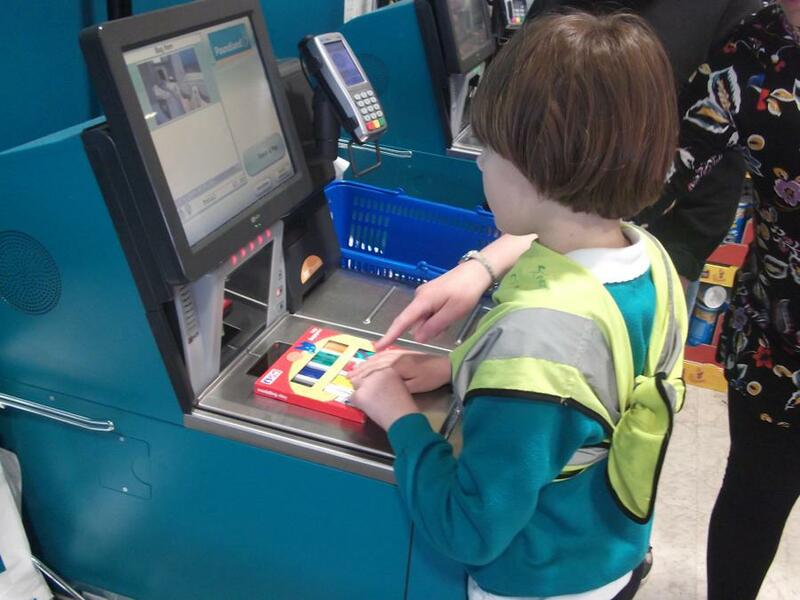 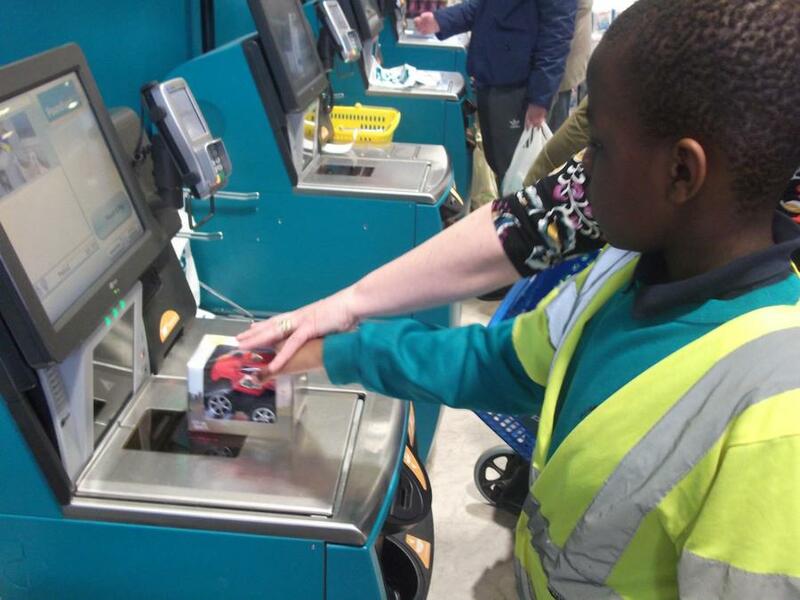 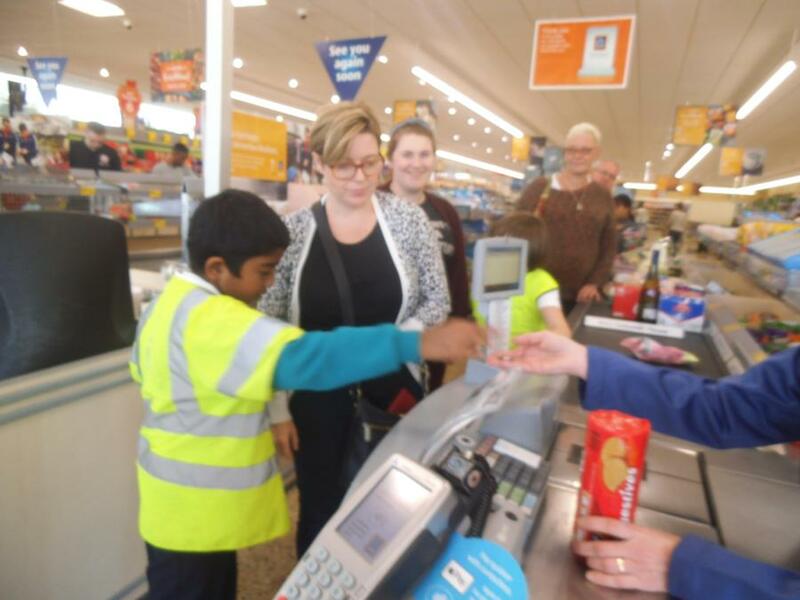 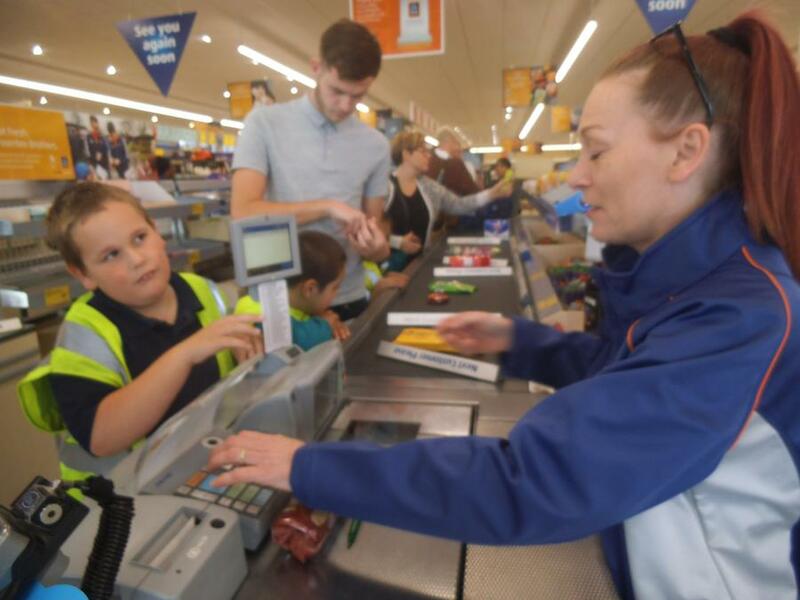 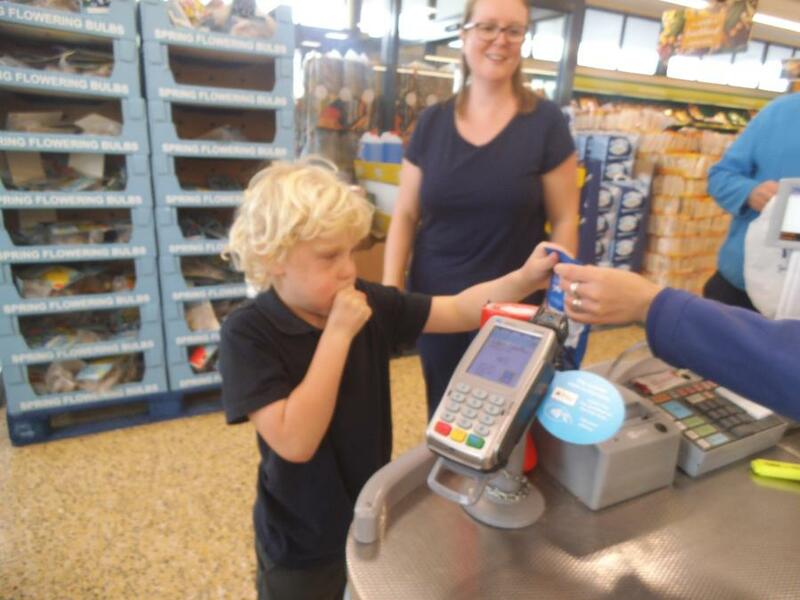 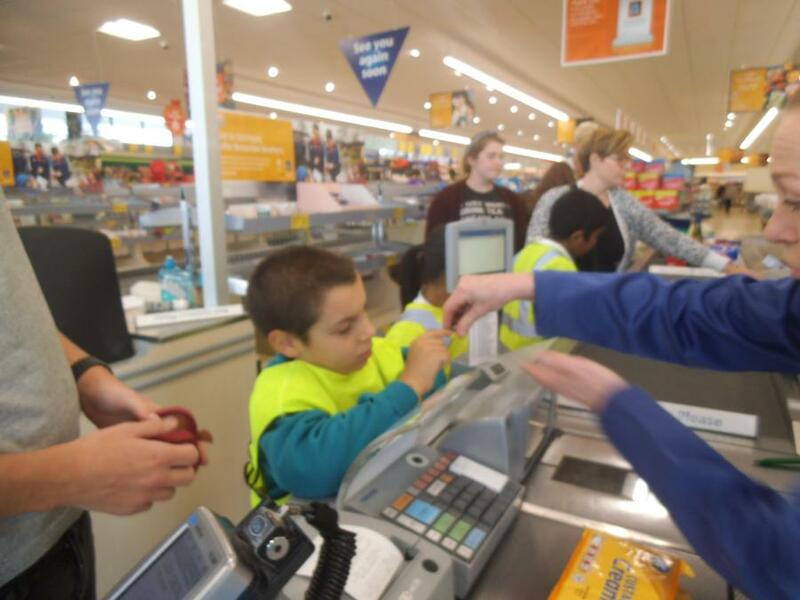 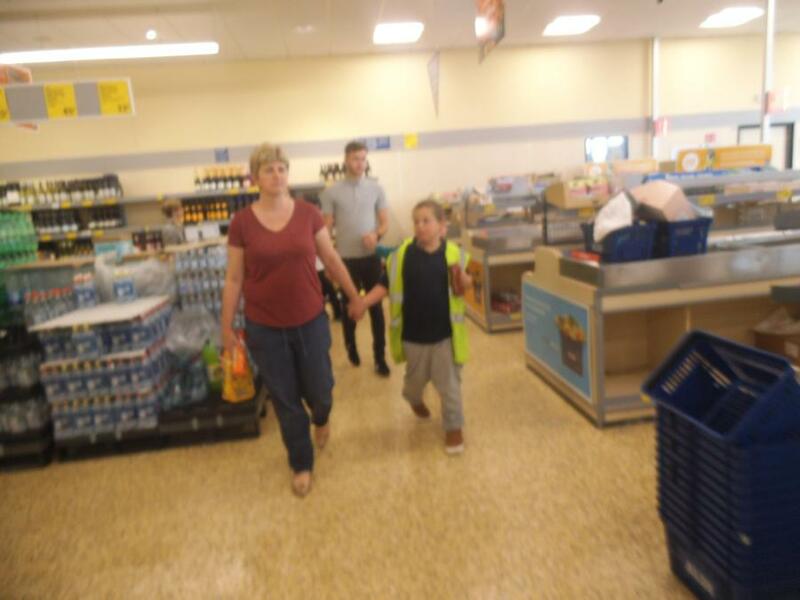 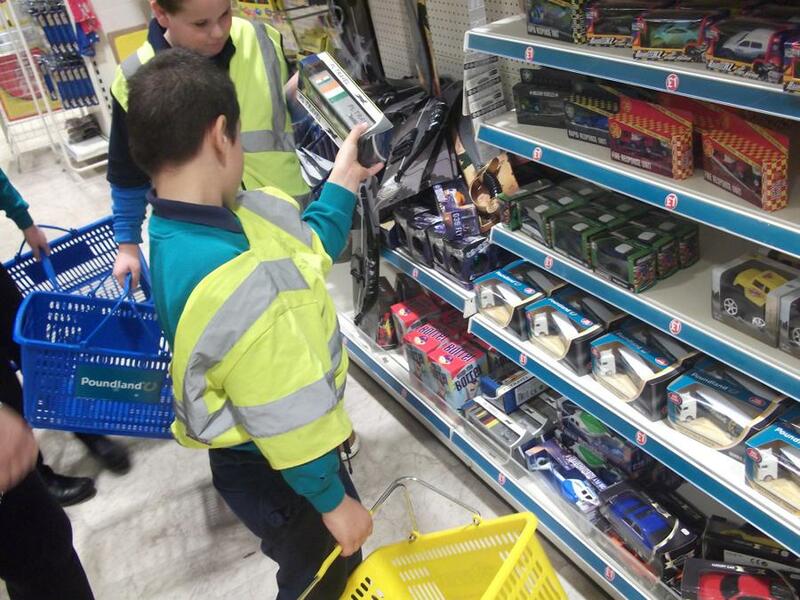 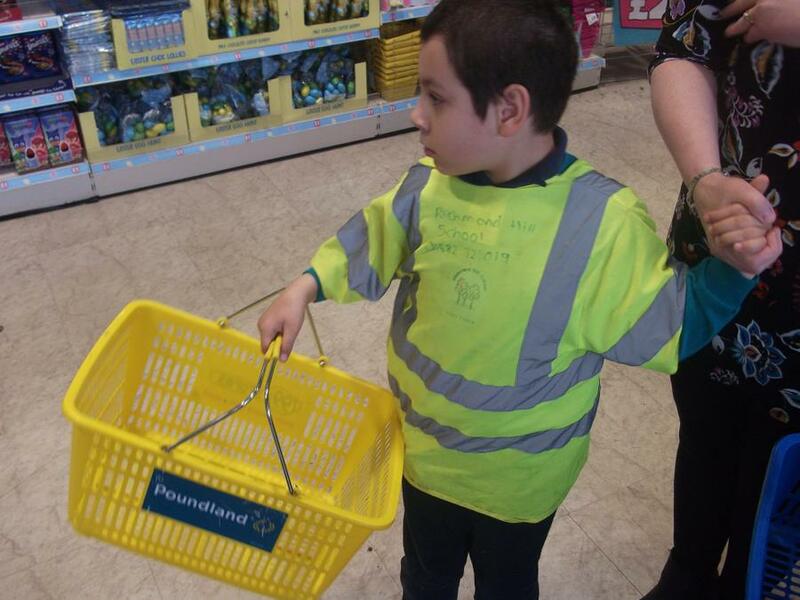 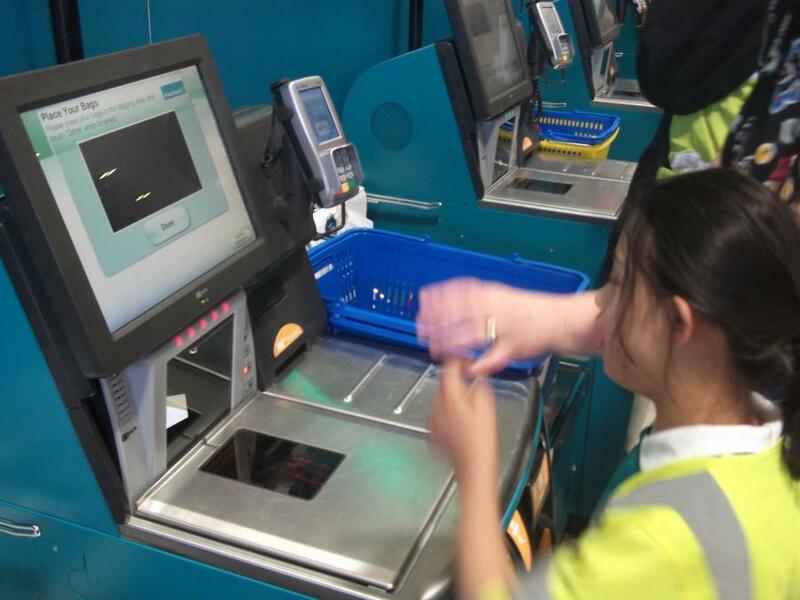 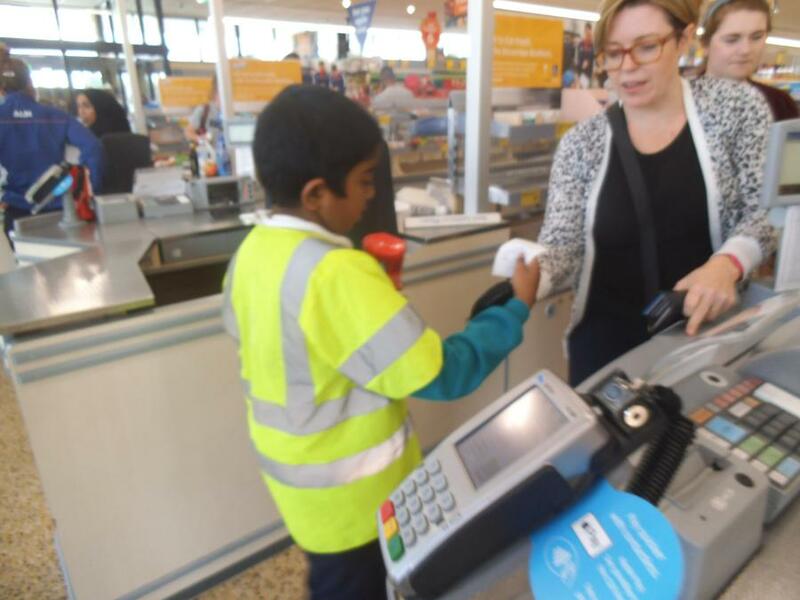 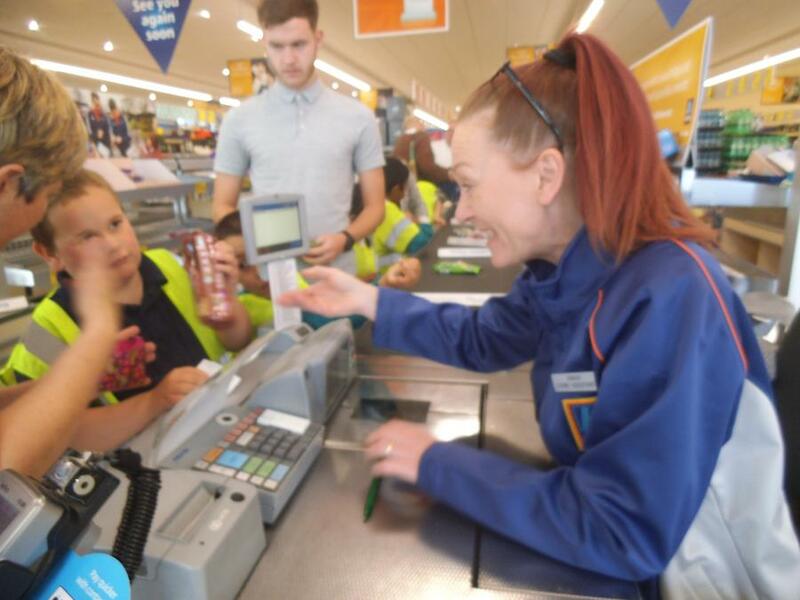 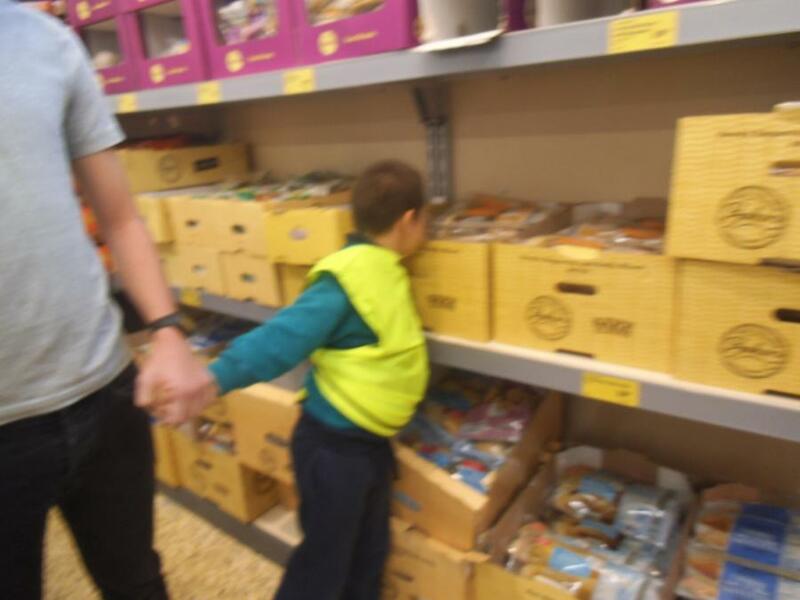 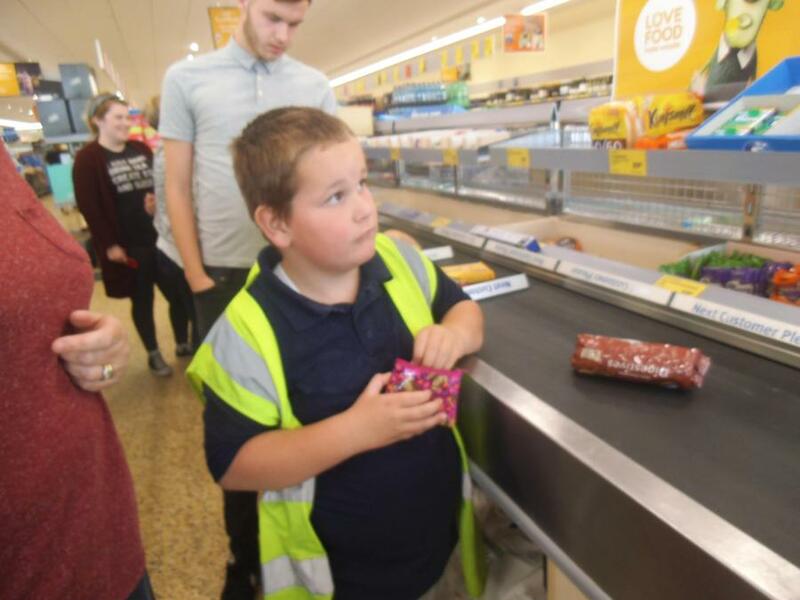 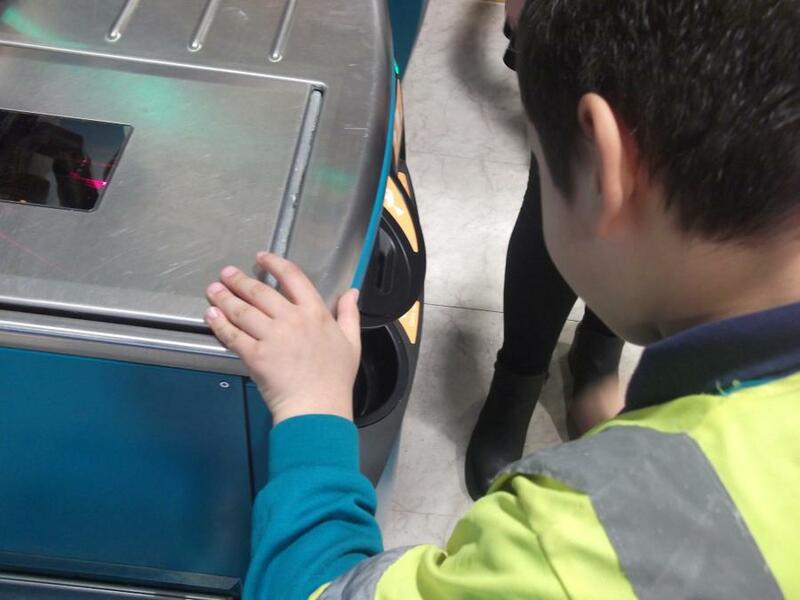 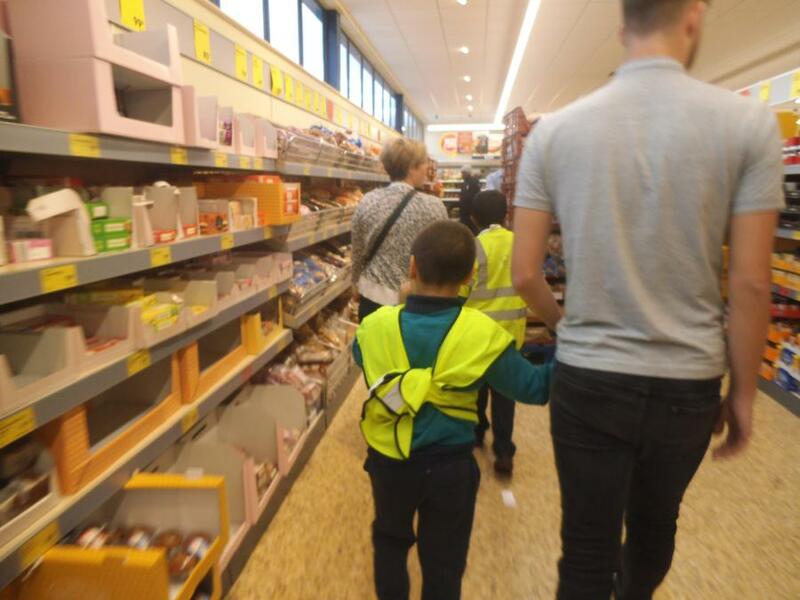 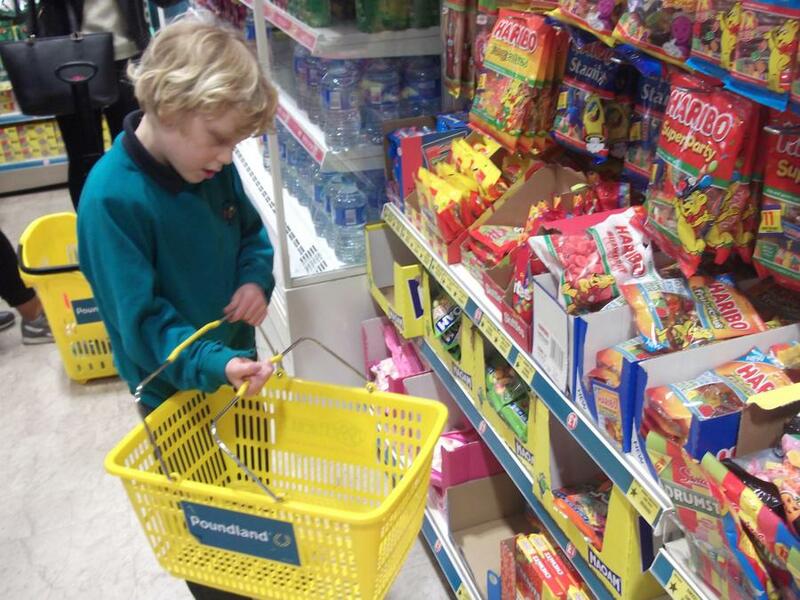 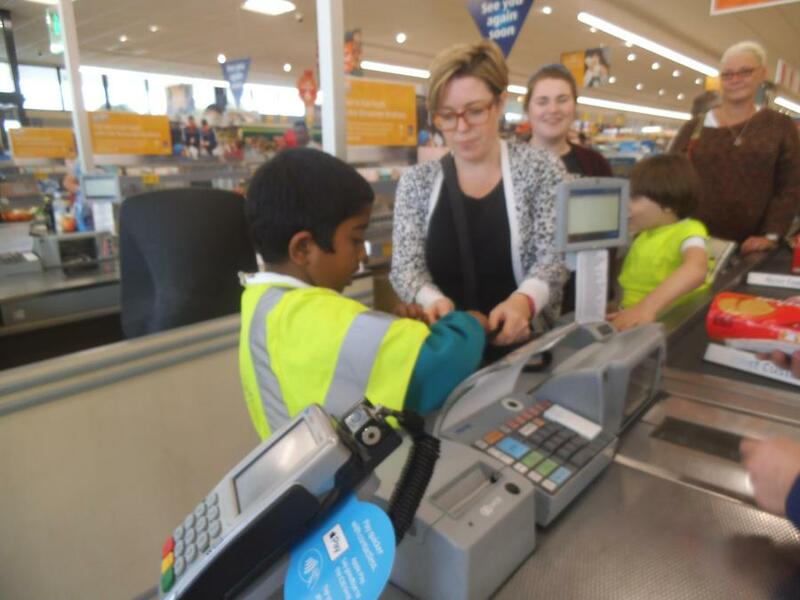 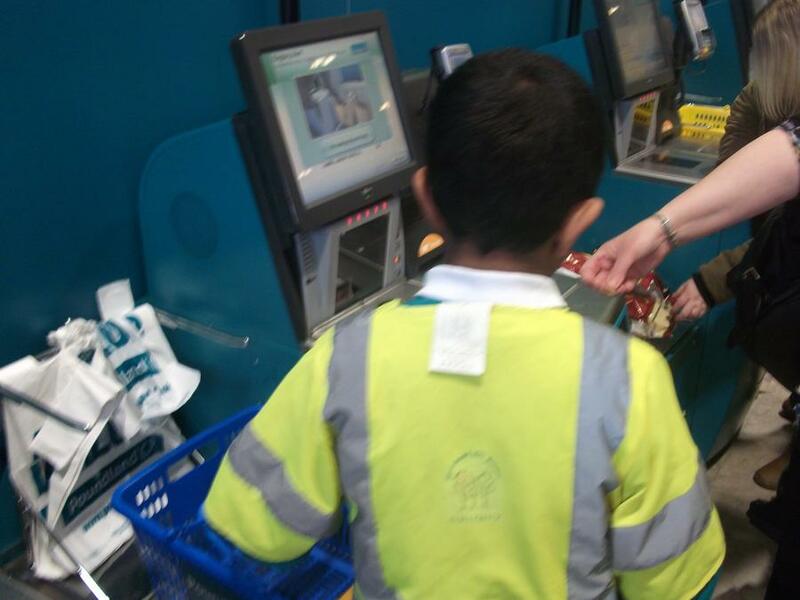 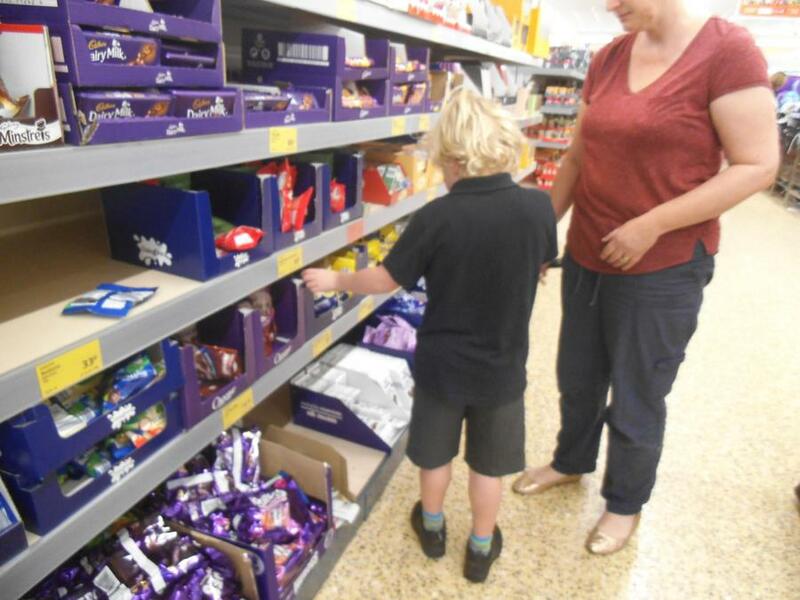 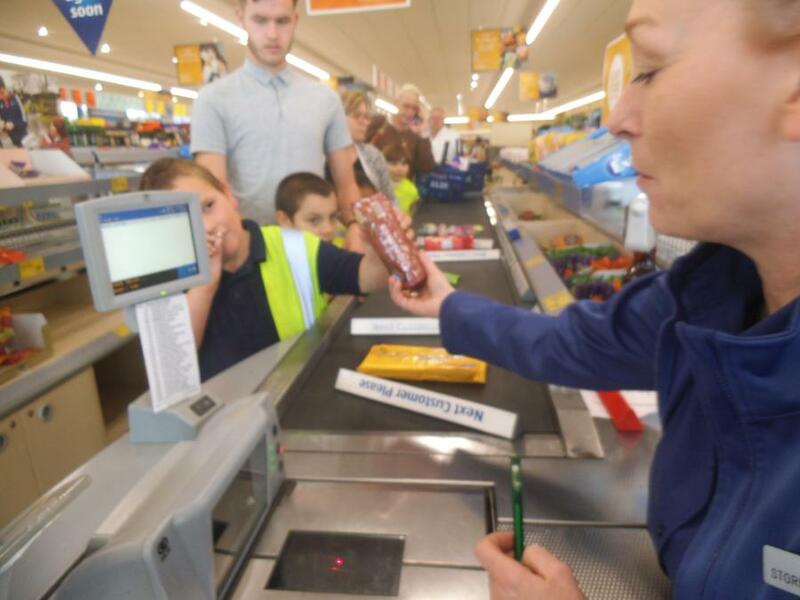 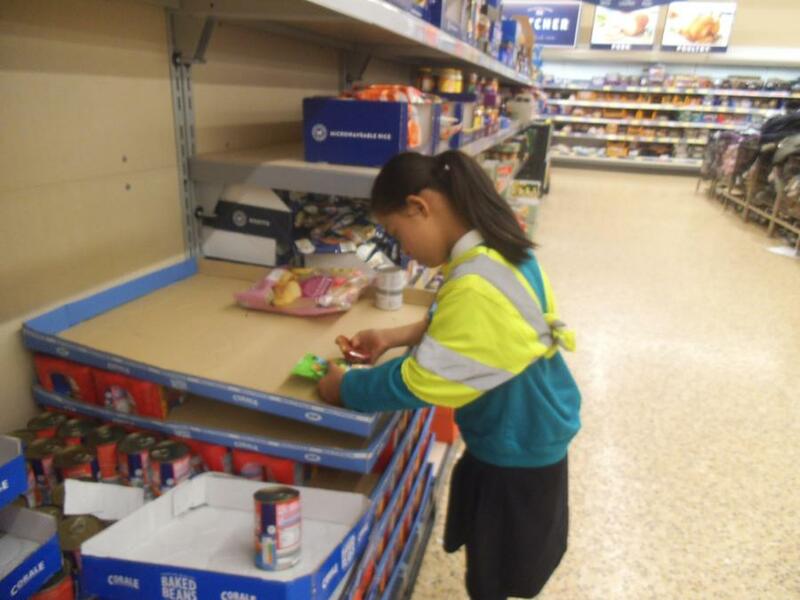 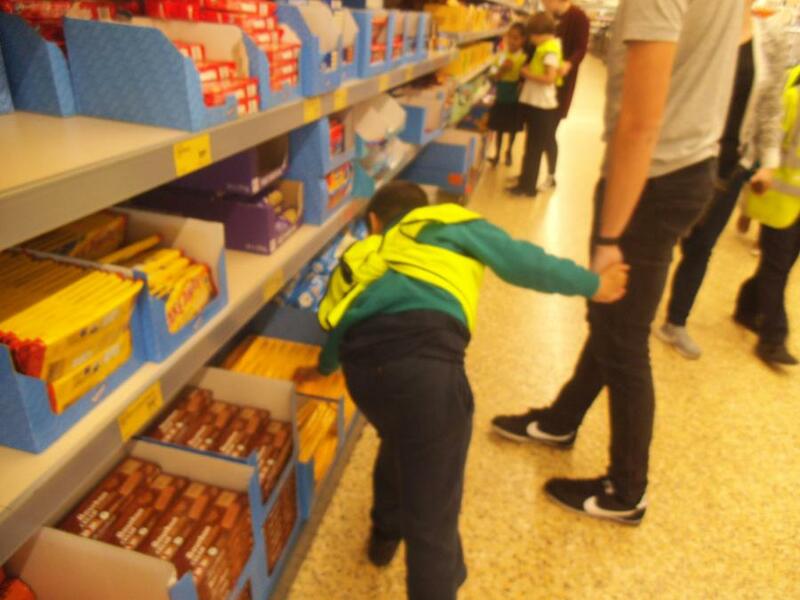 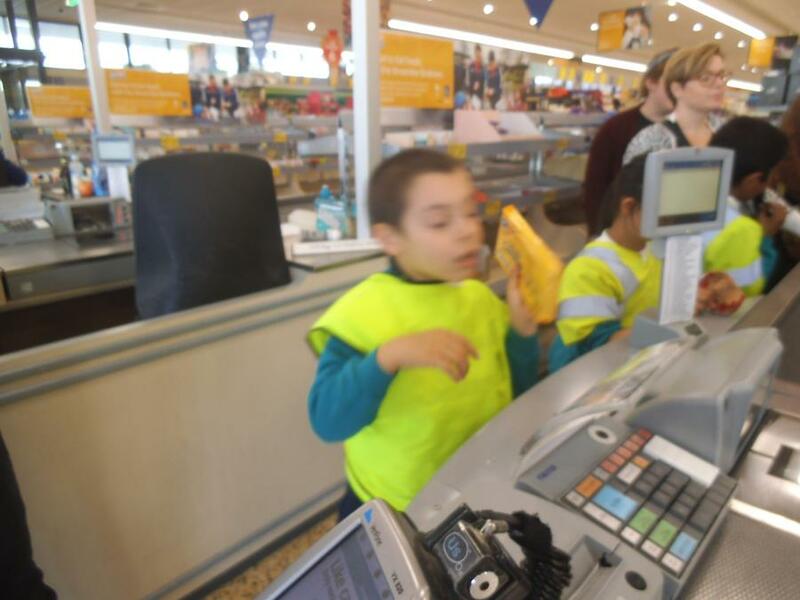 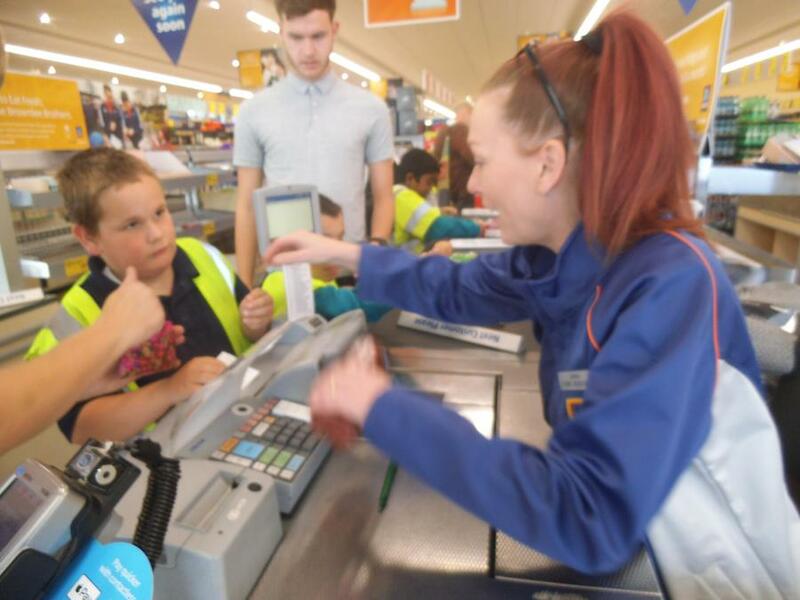 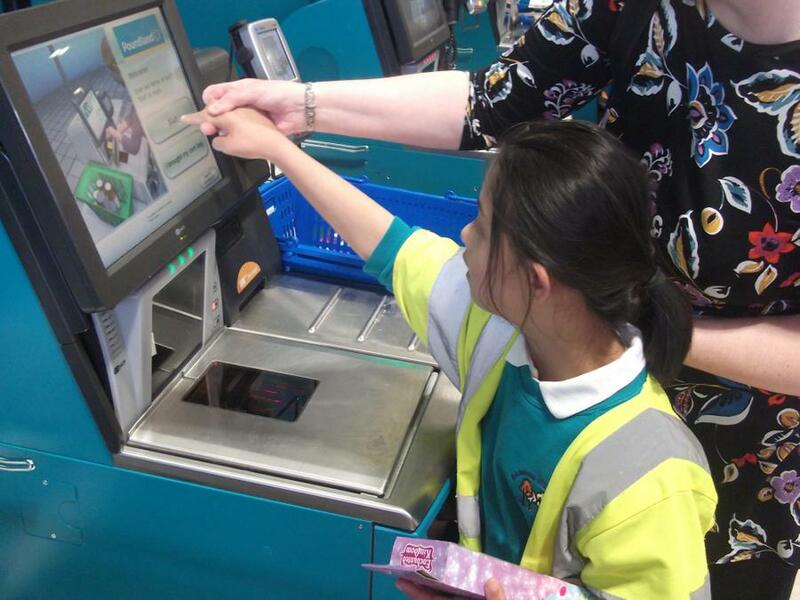 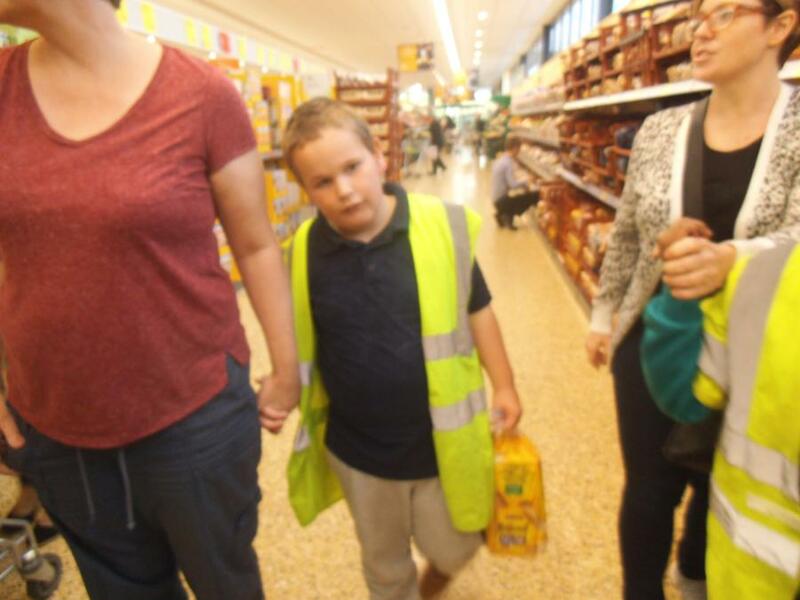 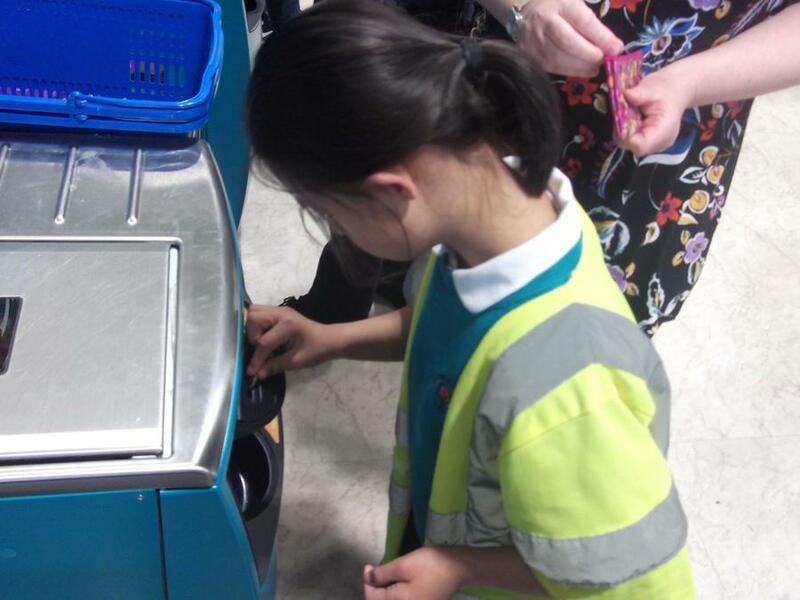 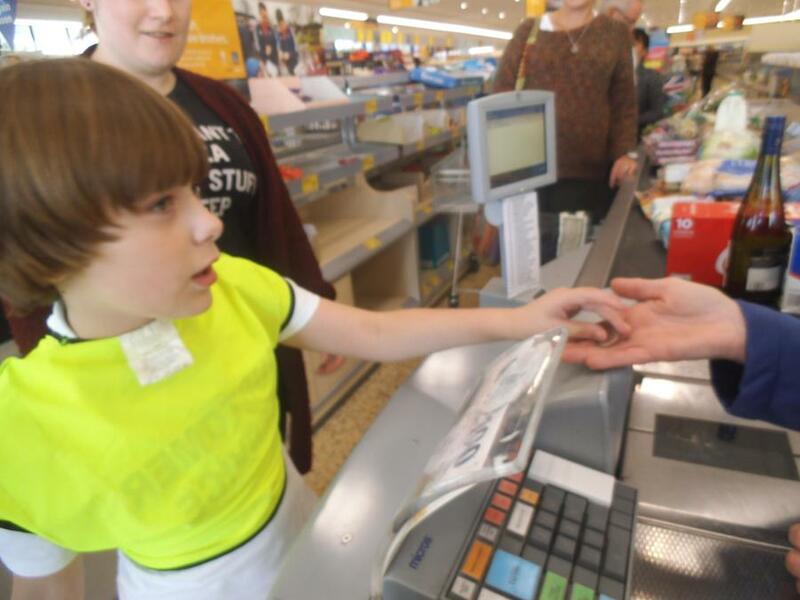 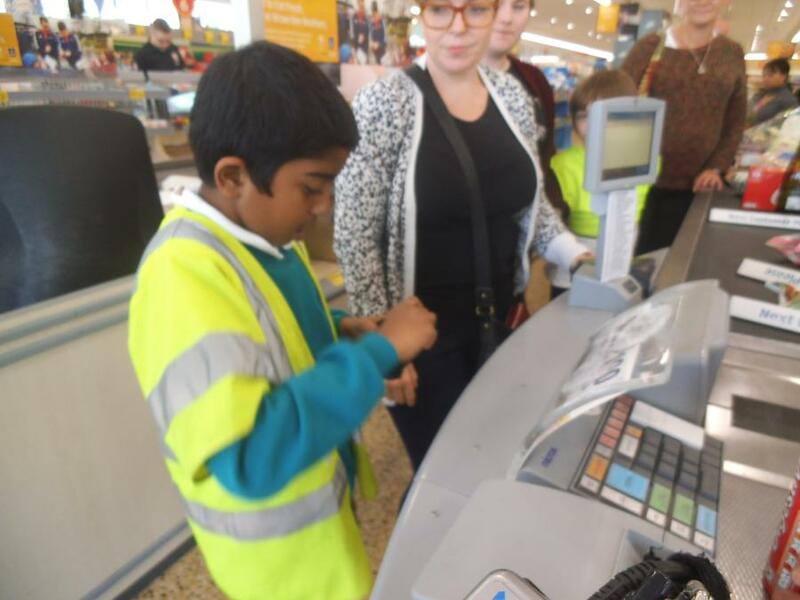 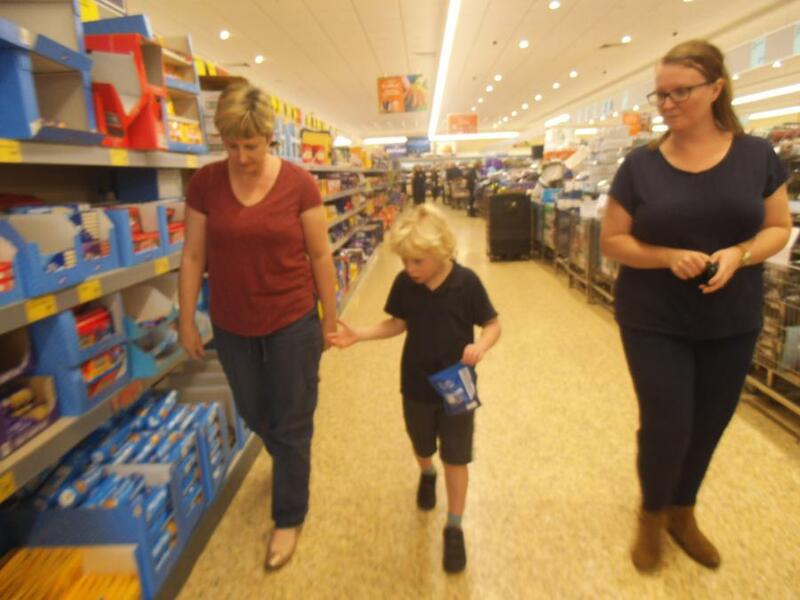 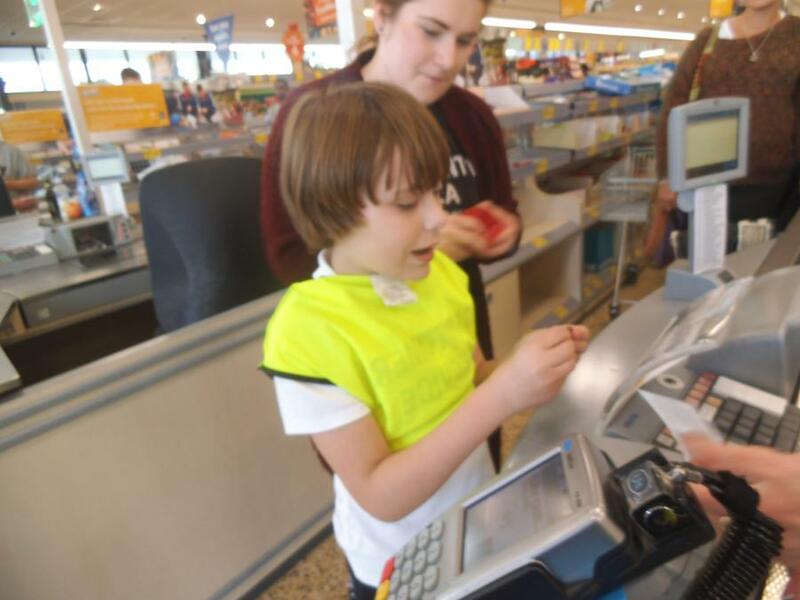 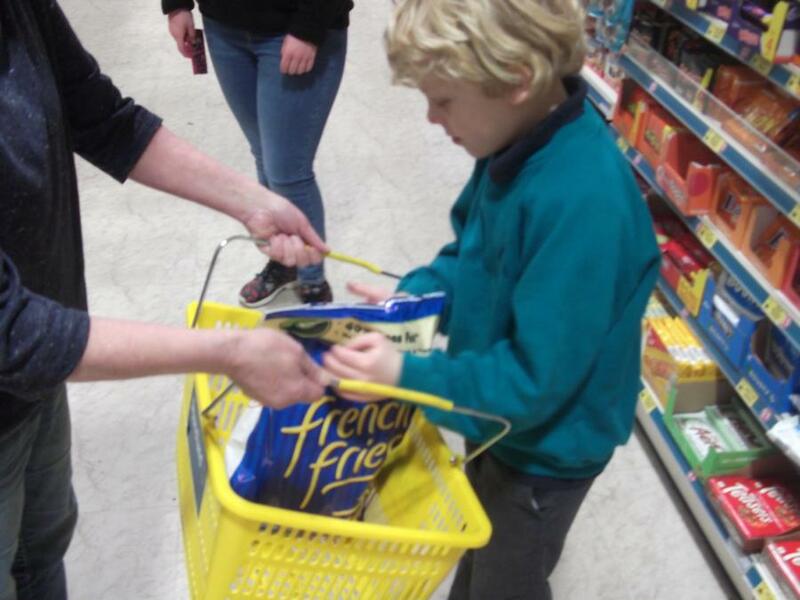 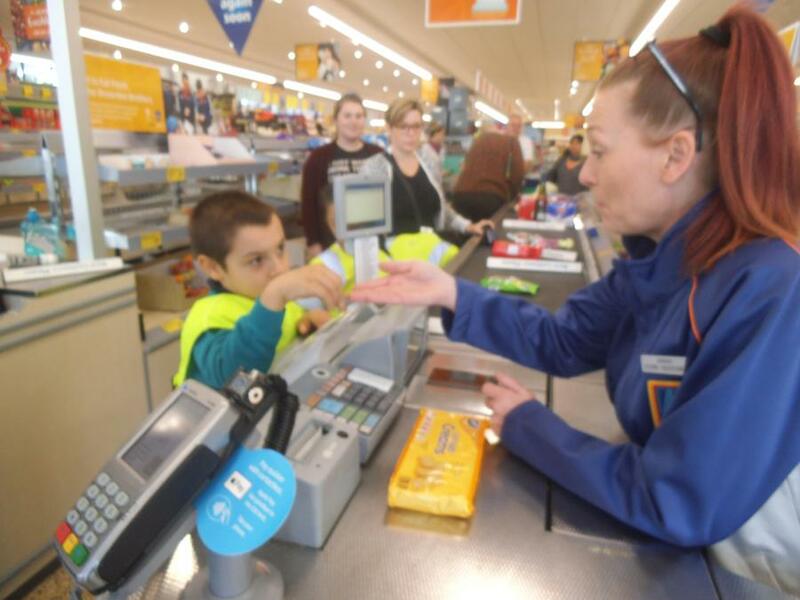 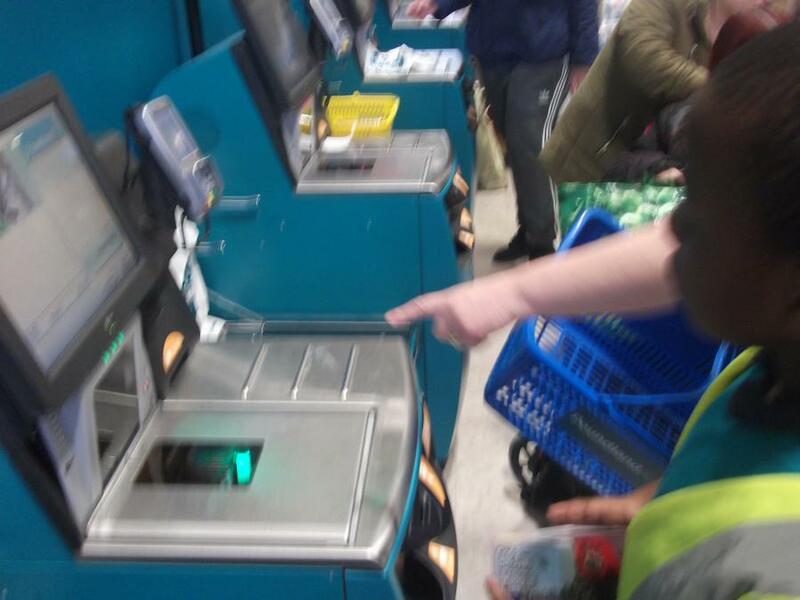 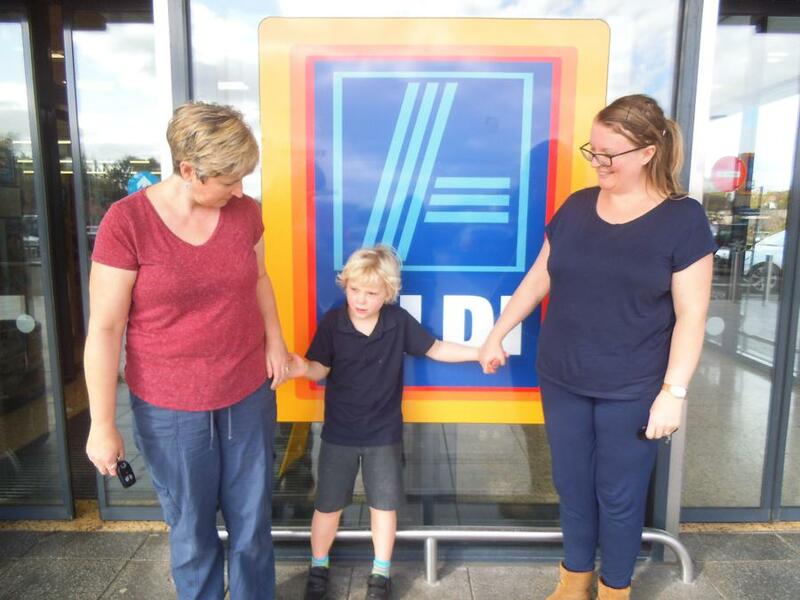 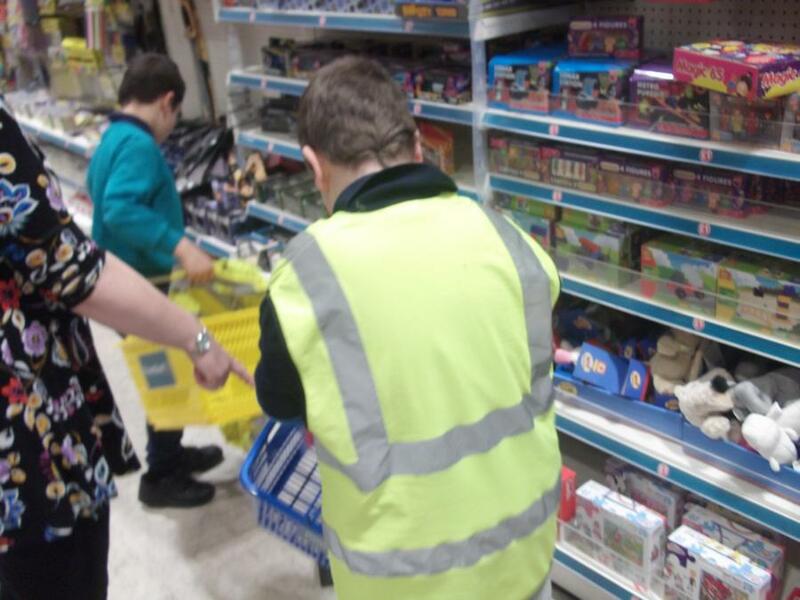 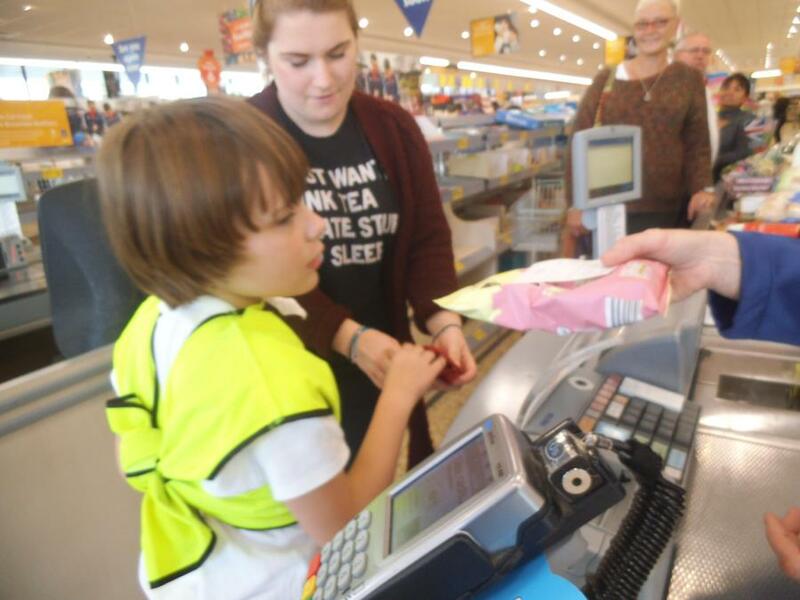 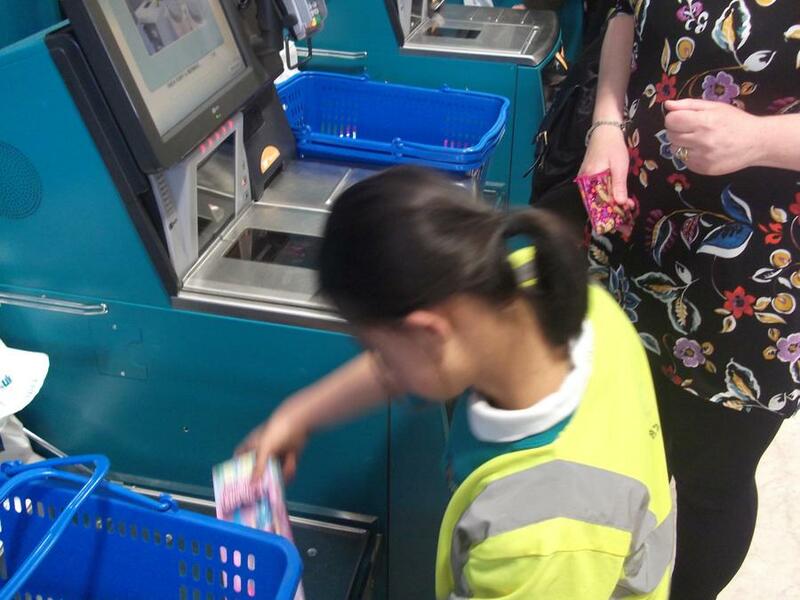 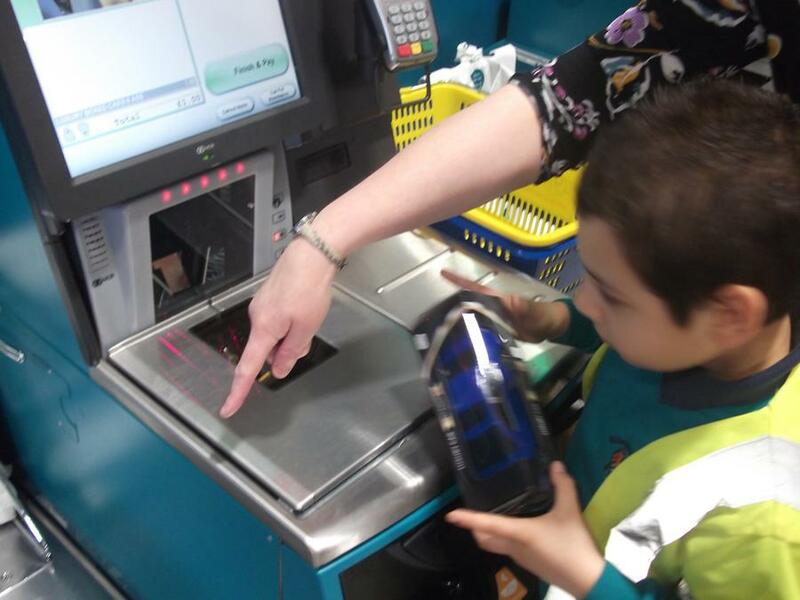 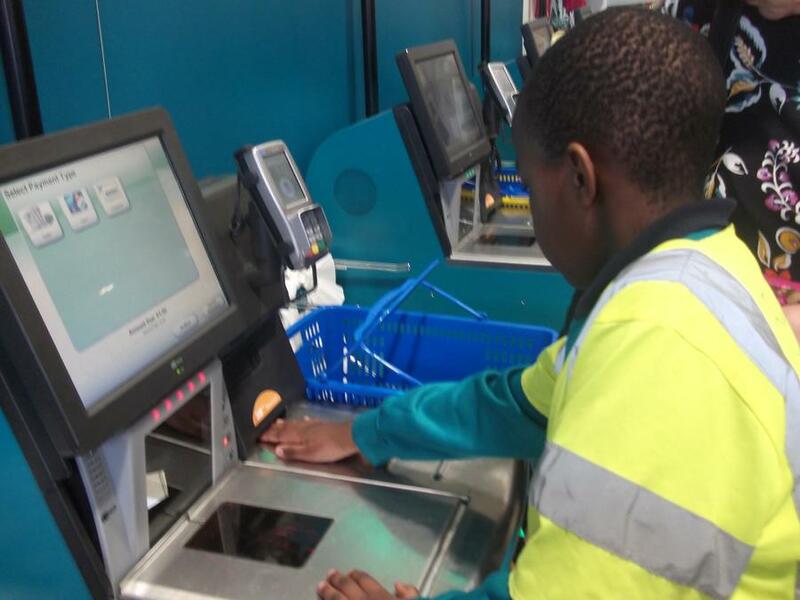 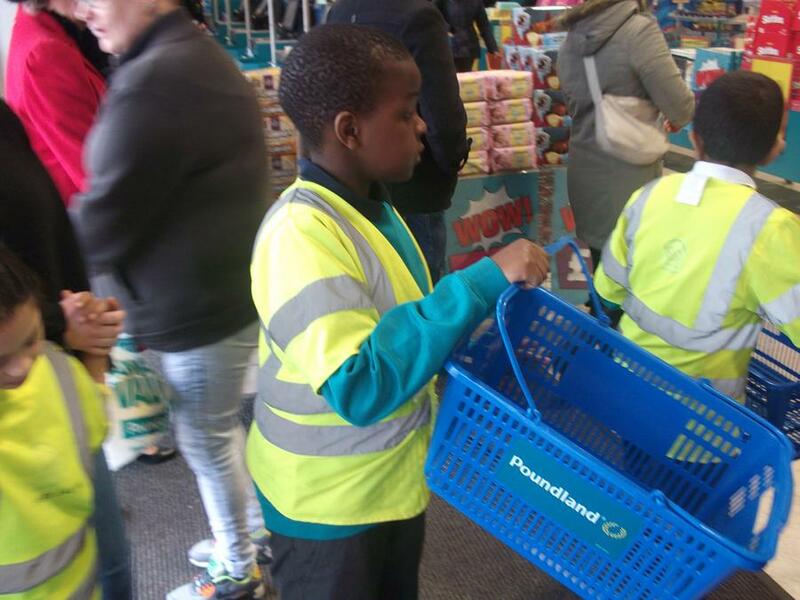 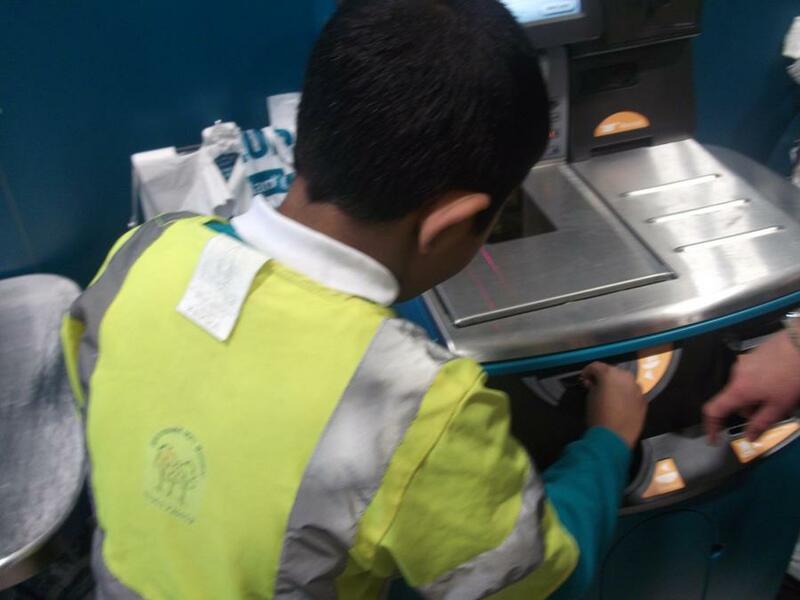 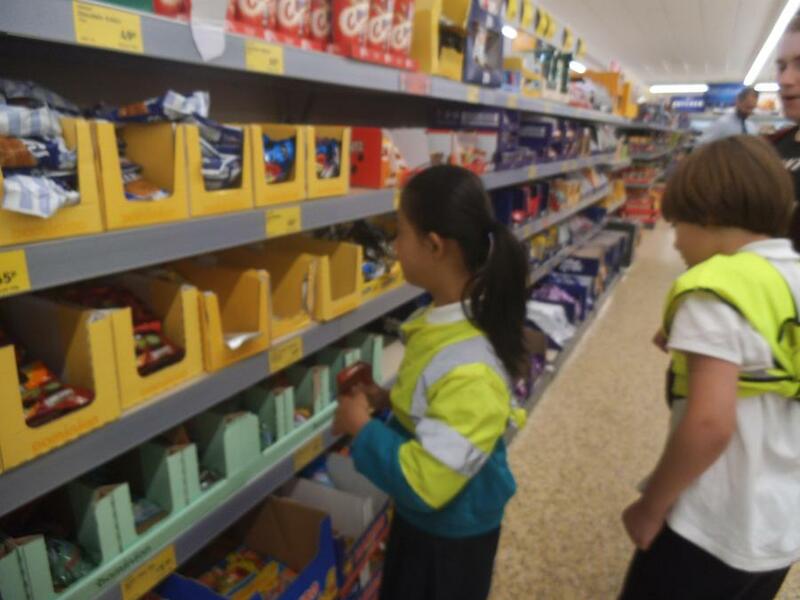 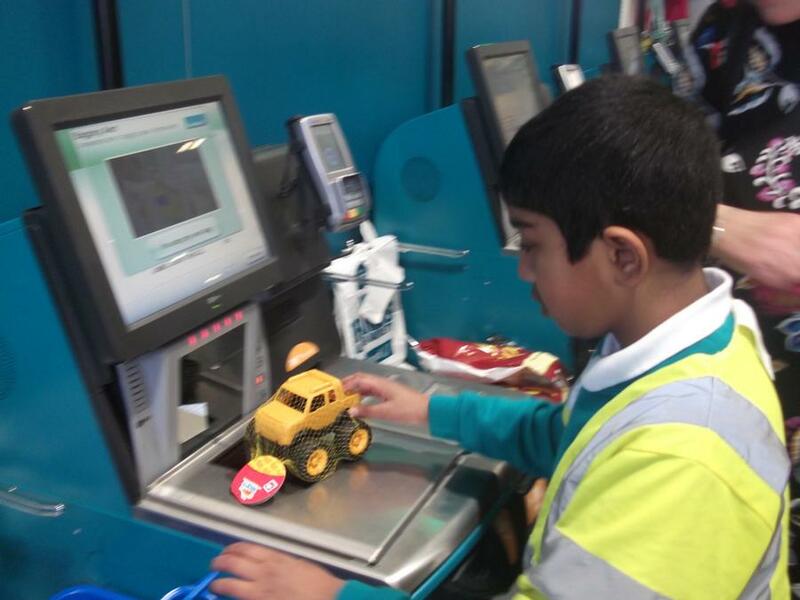 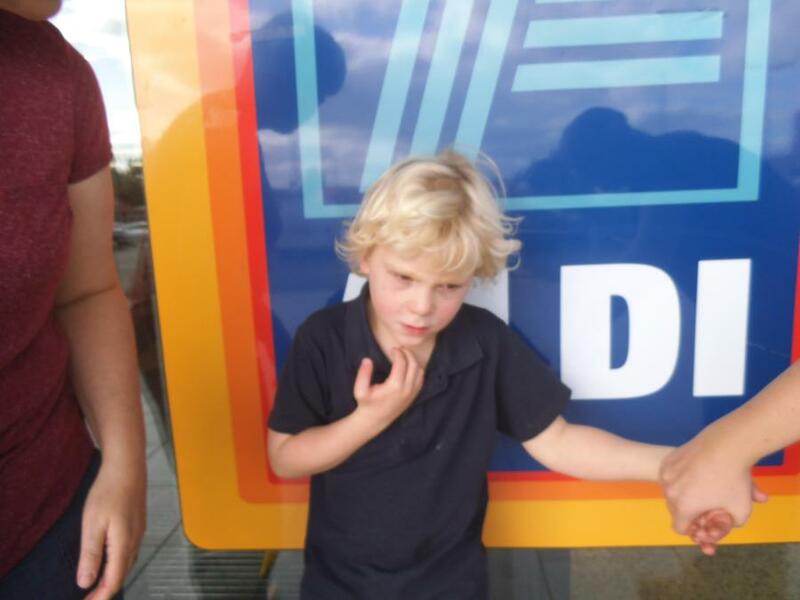 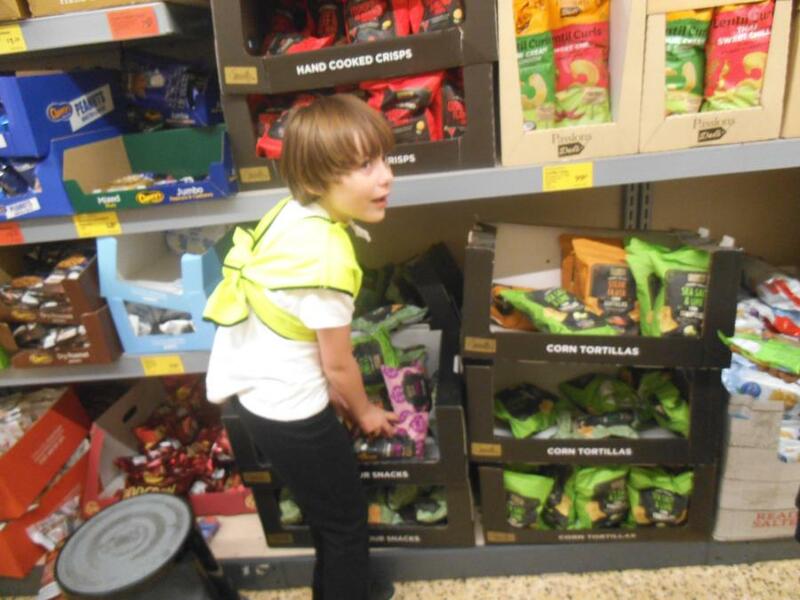 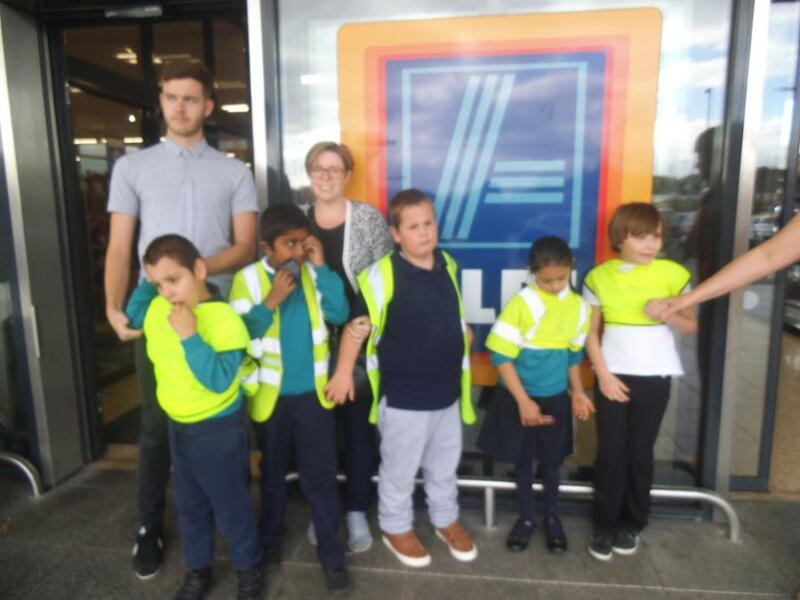 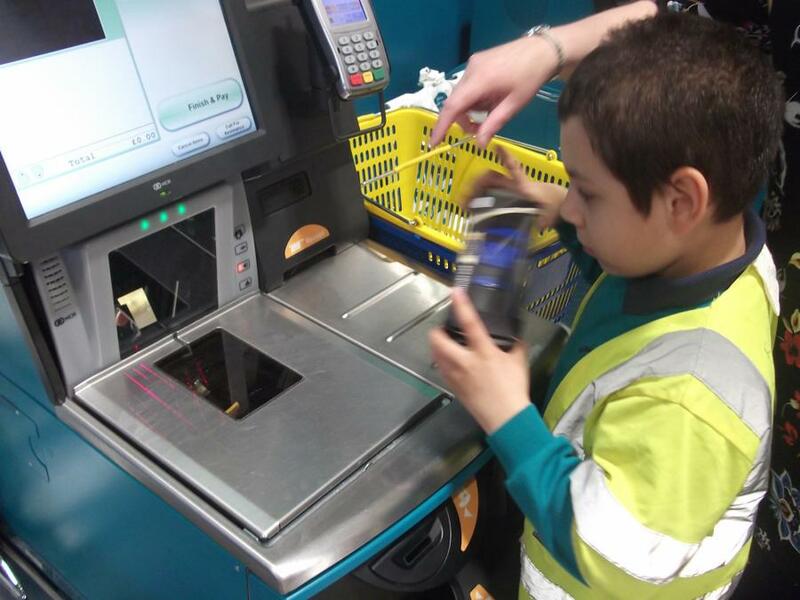 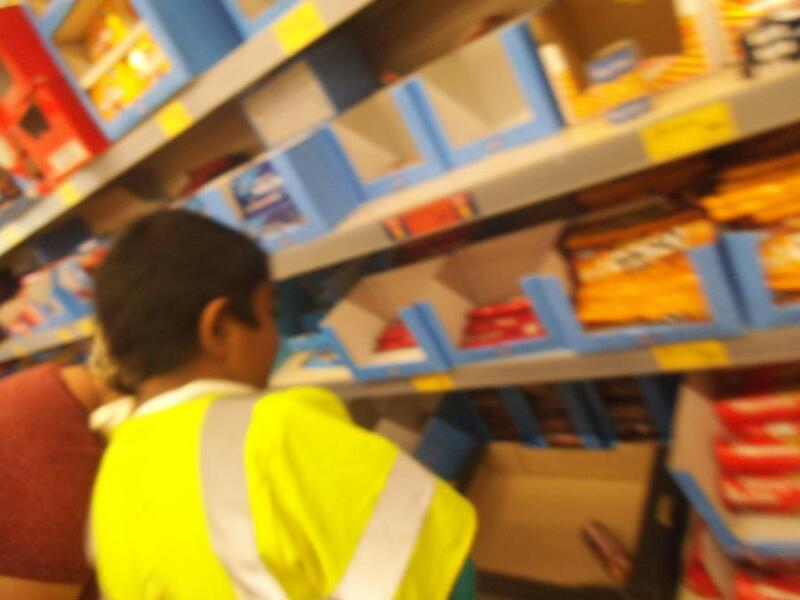 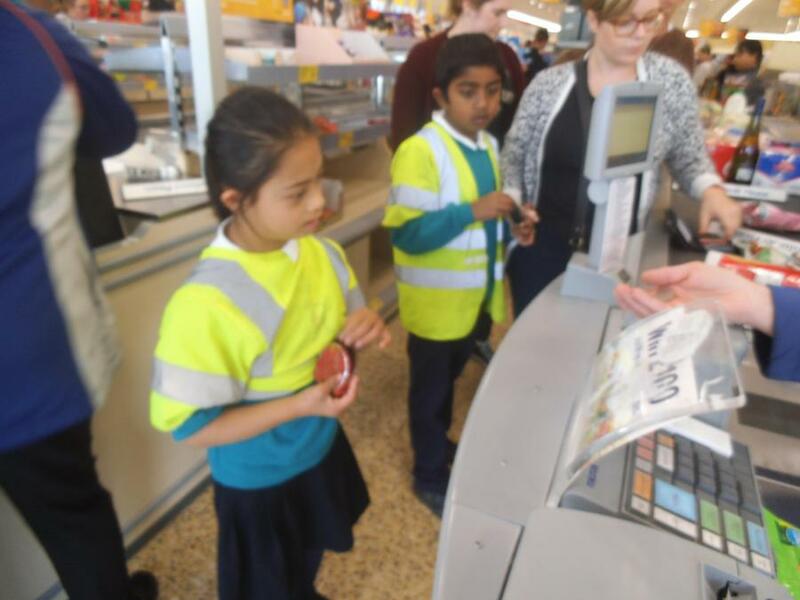 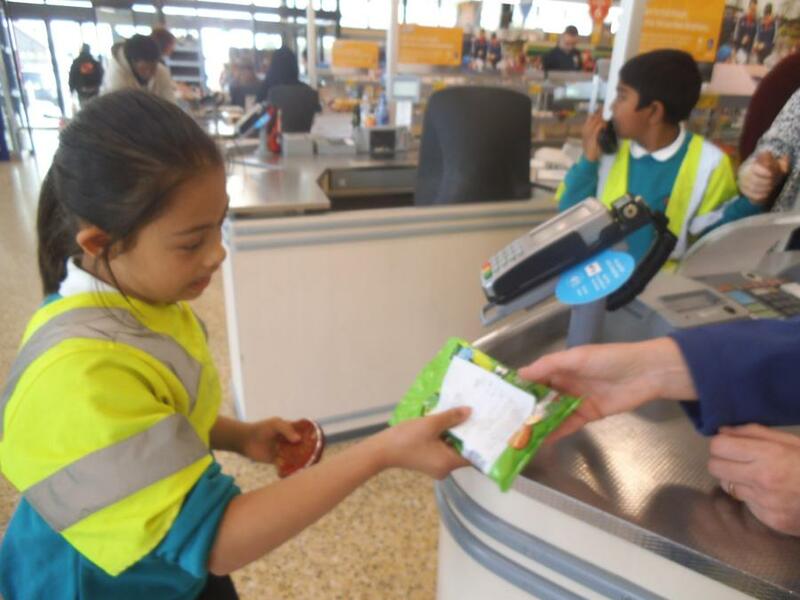 Purple class visited Aldi on Tuesday afternoon to get out and about and practice their maths skills by exchanging money at the till for their shopping items. 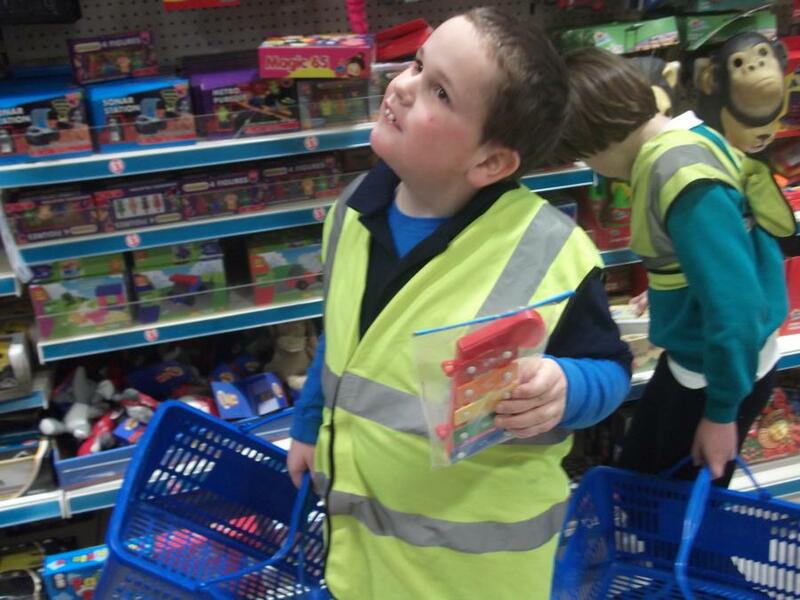 Hello and welcome to Purple Class. 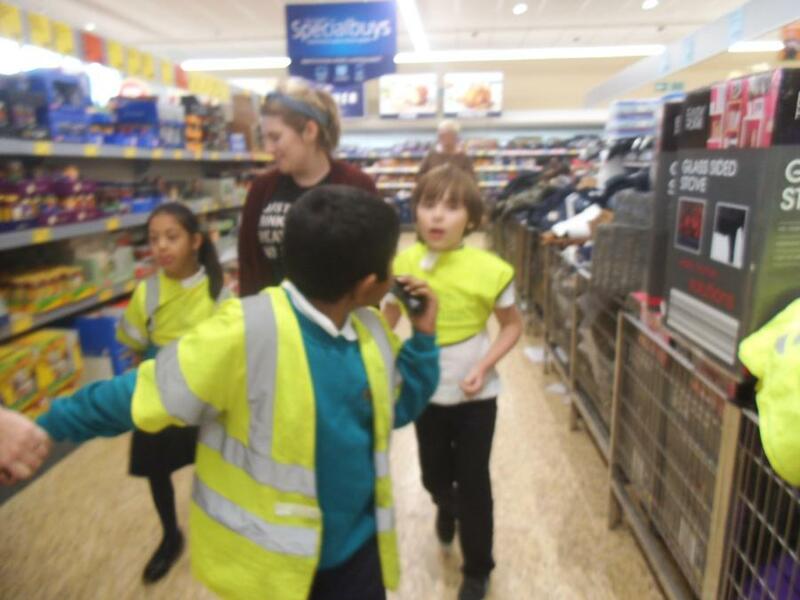 Our team are Sarah Dark (teacher) Deirdre Kelly (TA2), Sarah Neville, Owen and Molly (TA1's). 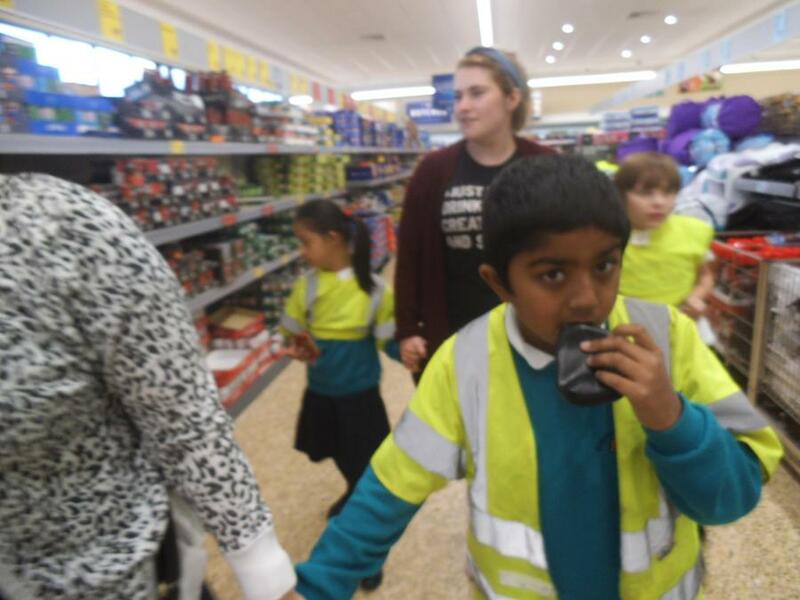 Purple class has two girls and 5 boys. 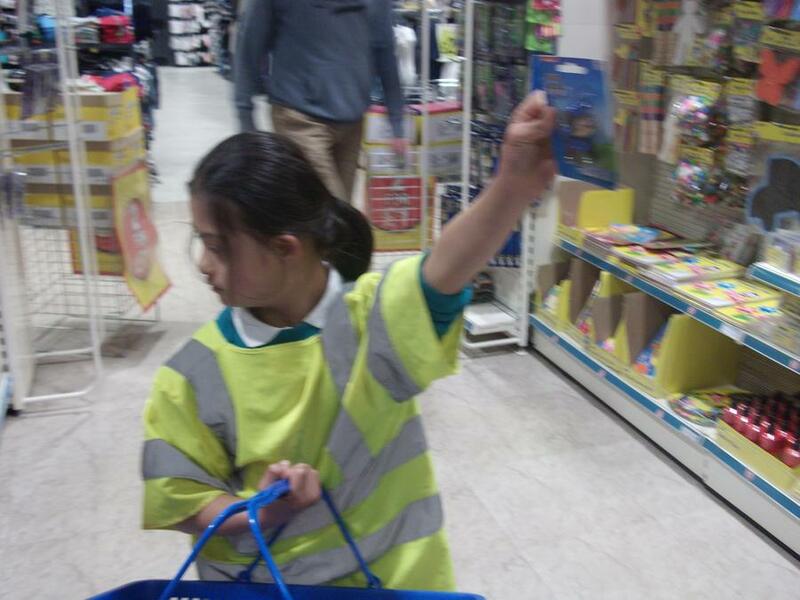 This half term our book is called Norman the slug with the silly shell. 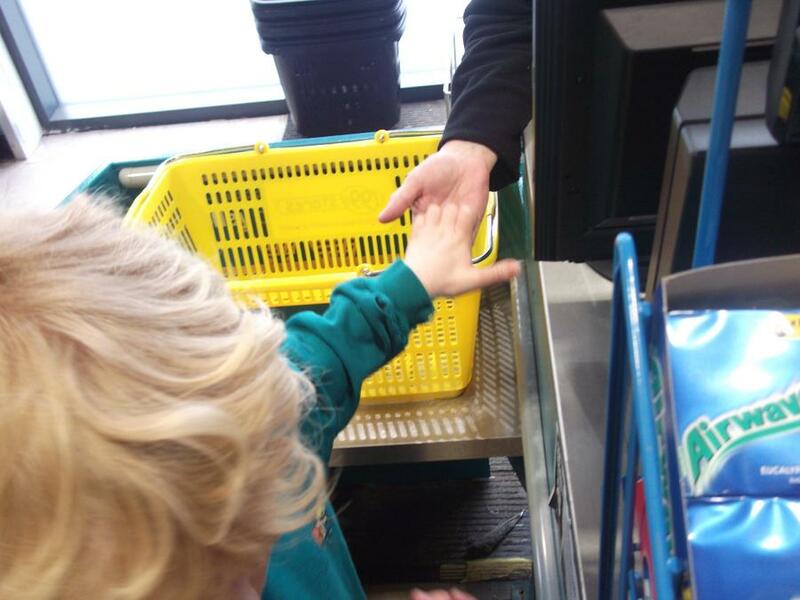 It is all about a slug who wants to be a snail but does not have a shell . 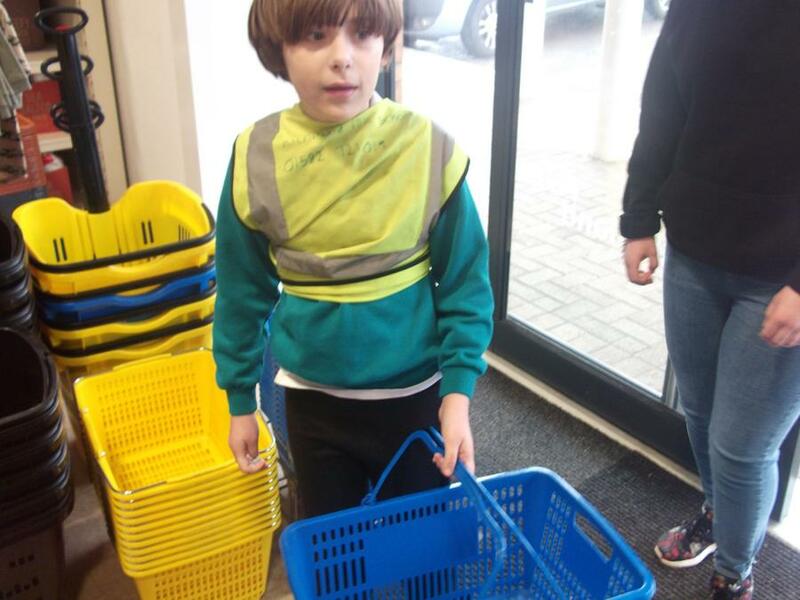 Our topic is called 'What a load of Junk' and is all about materials such as metal, plastic and cardboard and what happens when we throw them away. 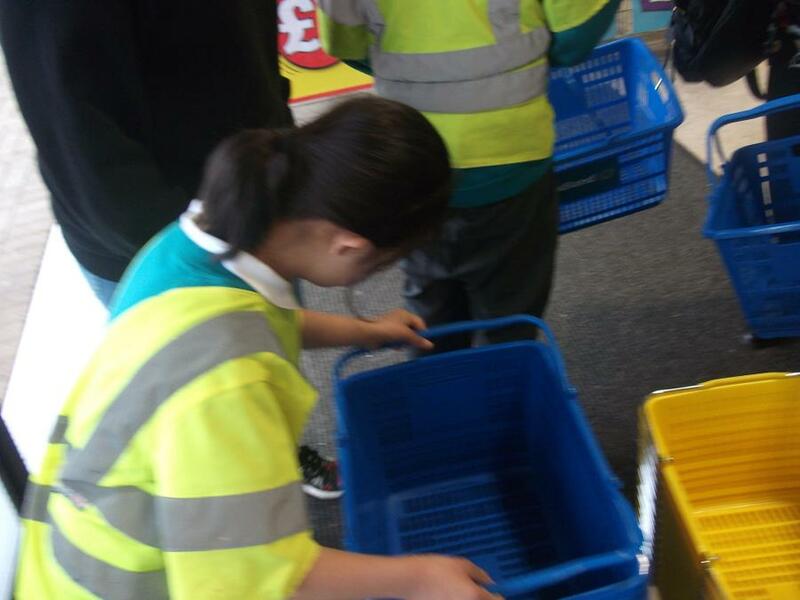 We will be making lots of things out of rubbish and hopefully the children will bring home some lovely creations! 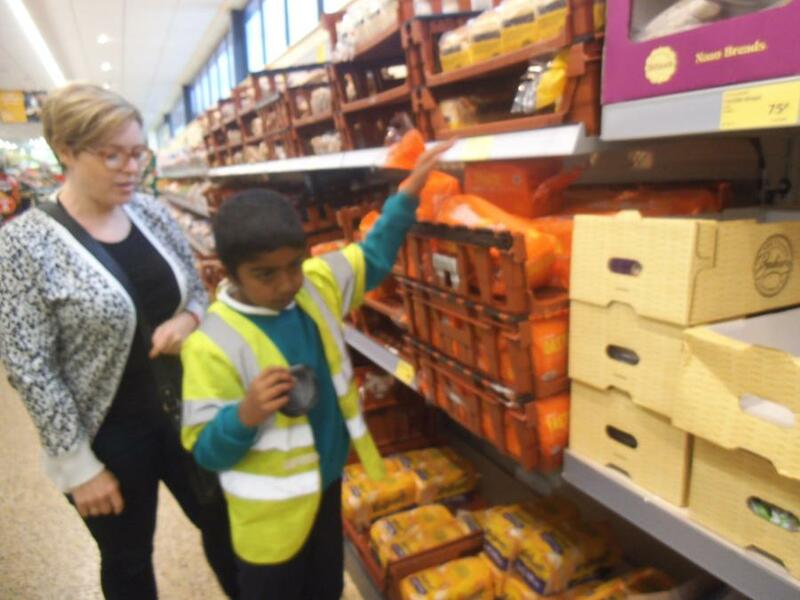 In cookery we are making different types of soup so will be practising our chopping and cutting skills. 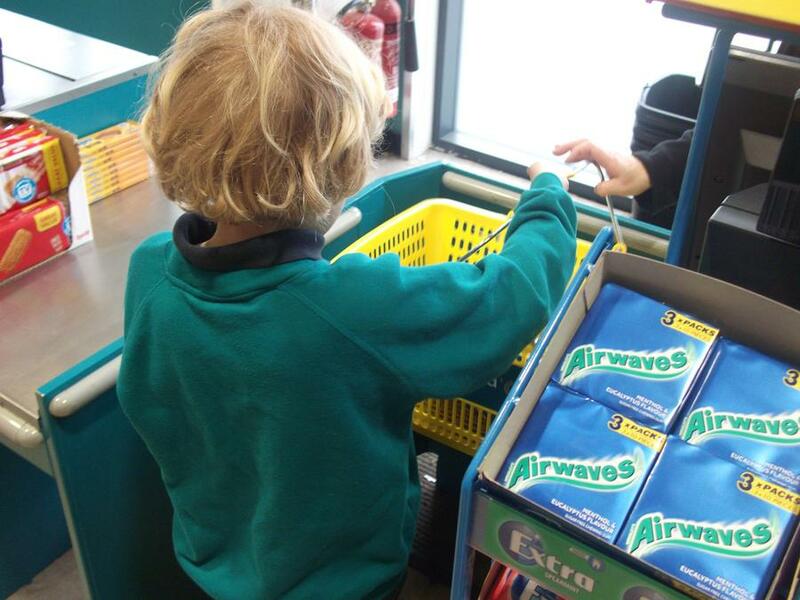 In PSHE we will be learning about different type of emotions. 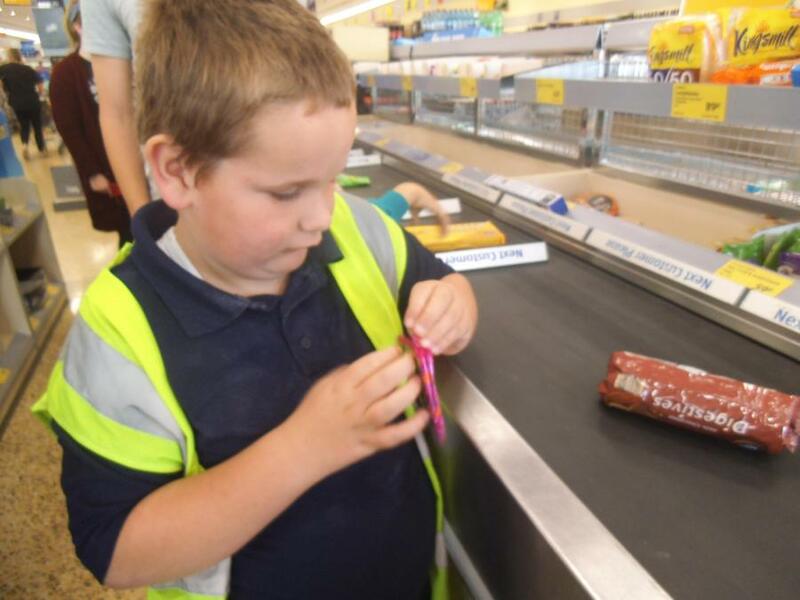 We will also be doing our daily maths and literacy slots. 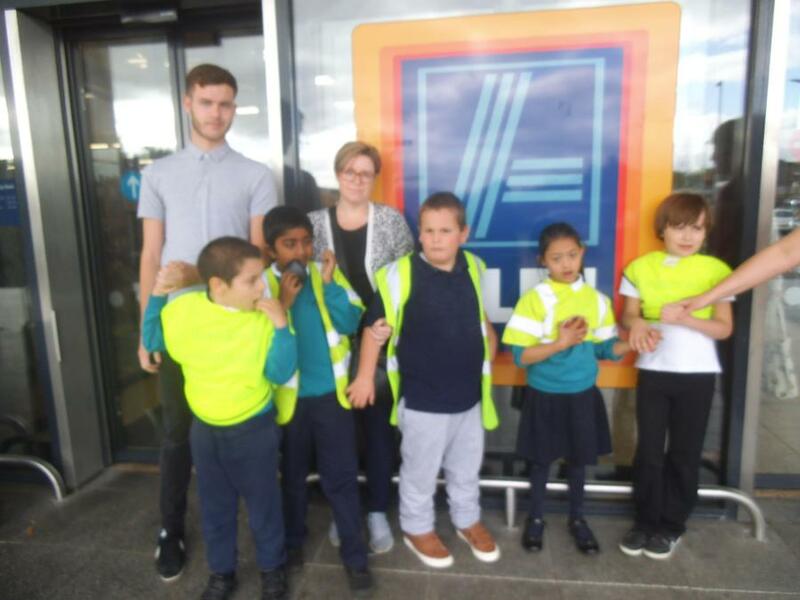 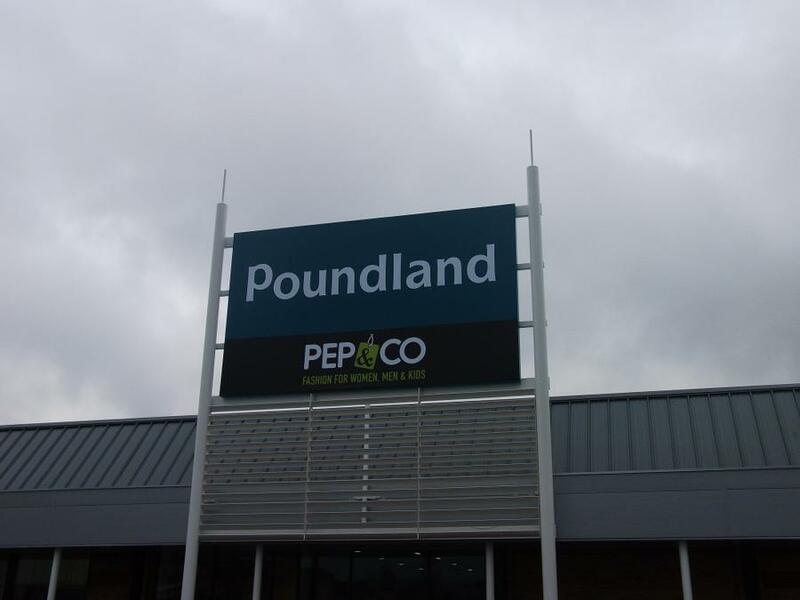 We will be visiting a recycling centre later in the half term and will also be visiting Aldi to spend some pennies when we learn about money in our maths sessions. 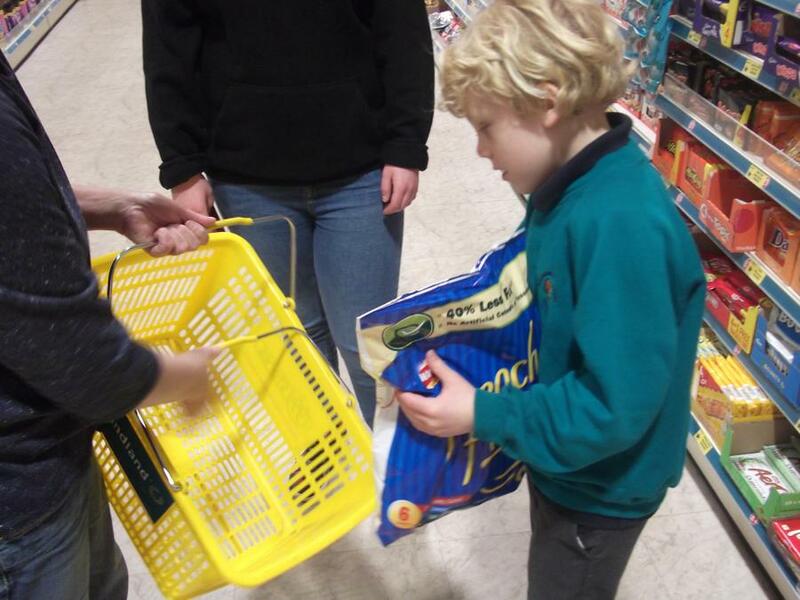 All in all a very busy half term. 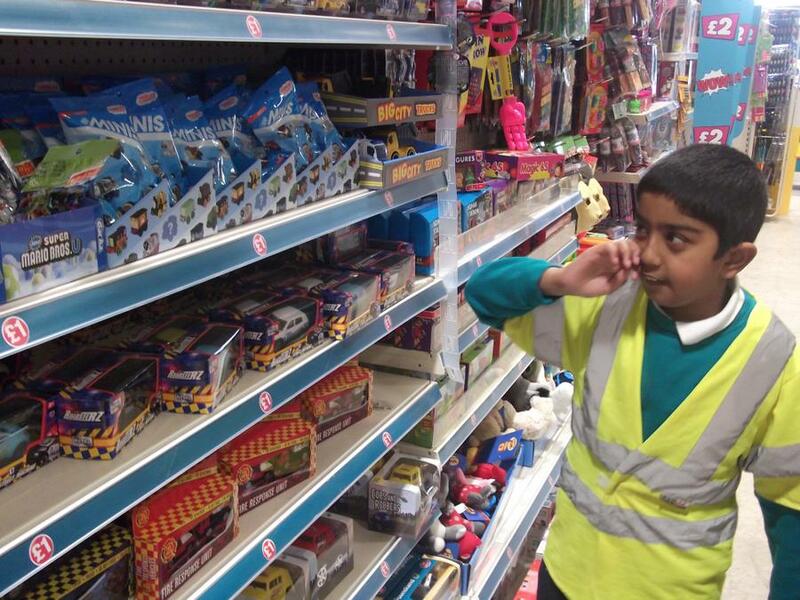 Purple class team look forward to working with you and your child.